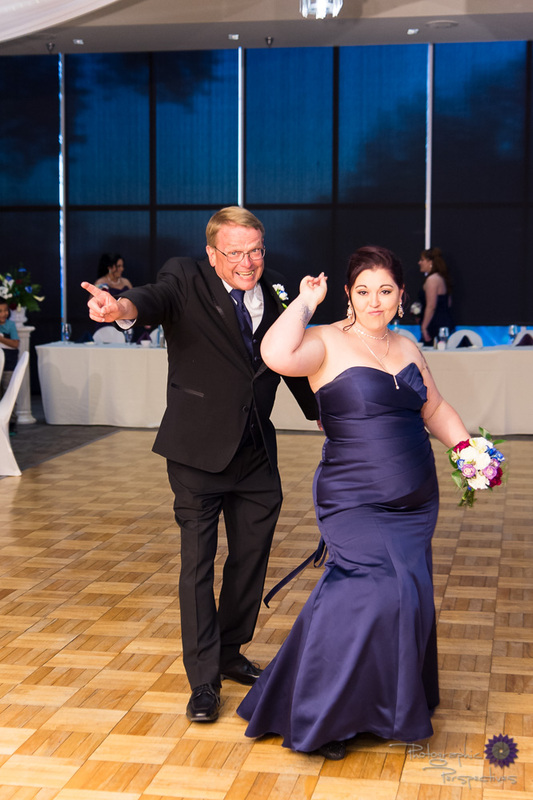 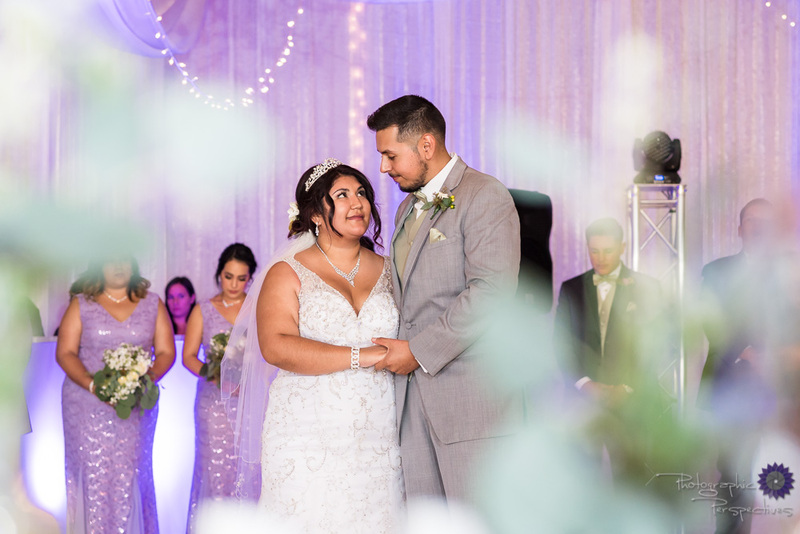 There were lots of special moments during the wedding and we can't wait to show you more! 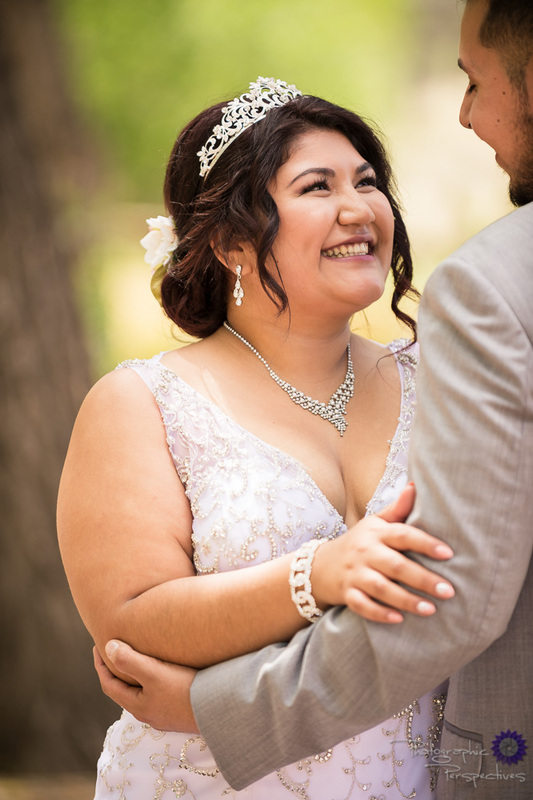 For more images from their wedding be sure to check out their wedding sneak peek and their romantic engagement session. 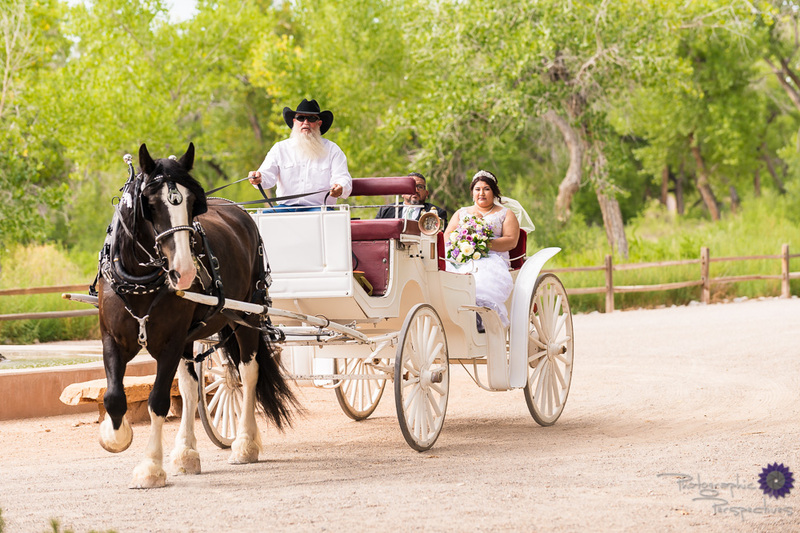 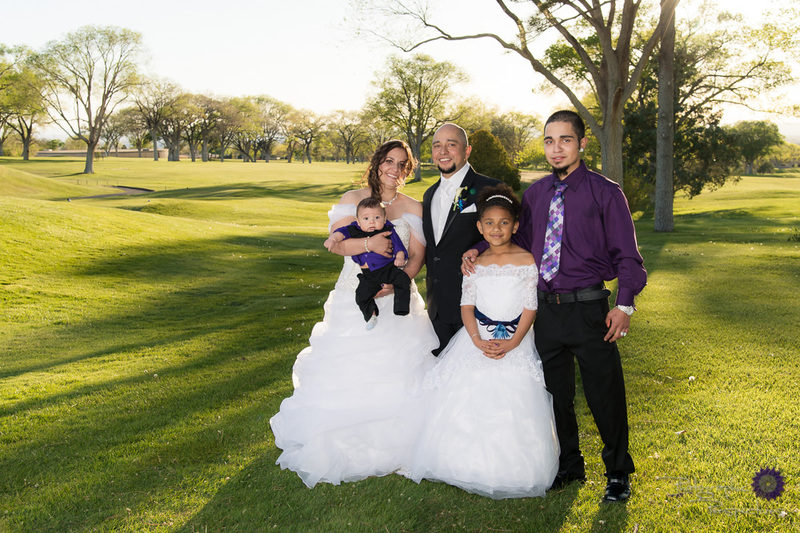 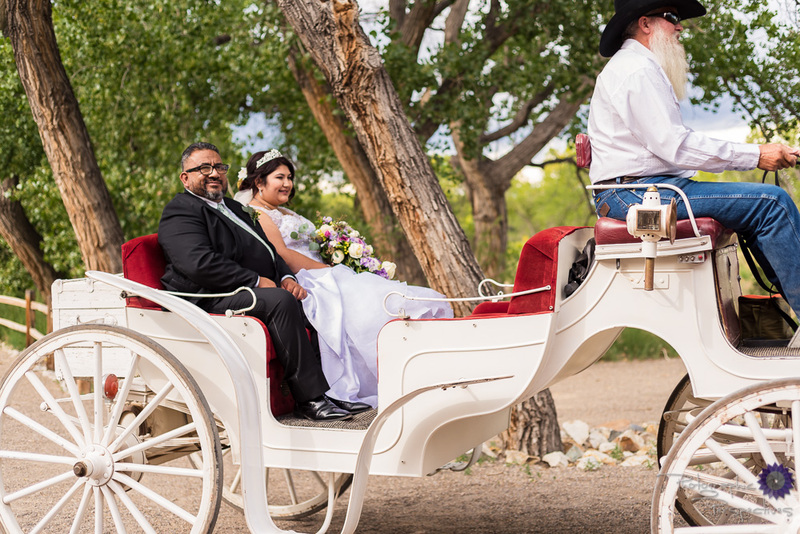 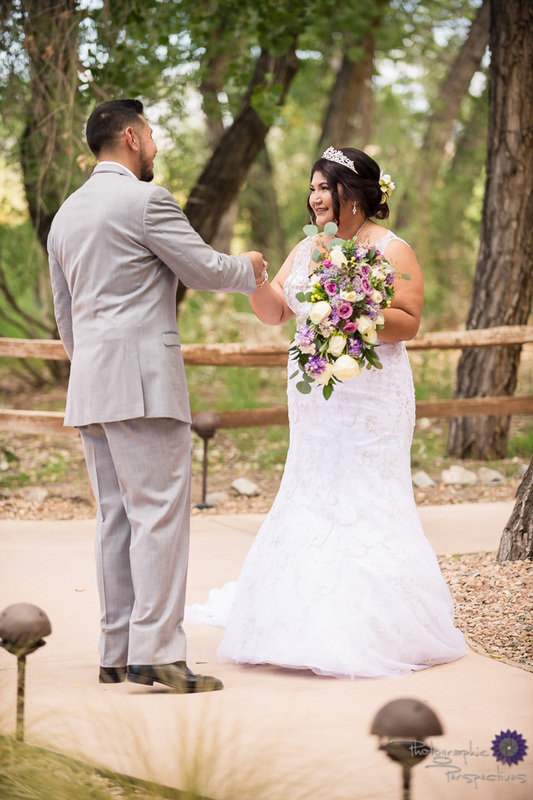 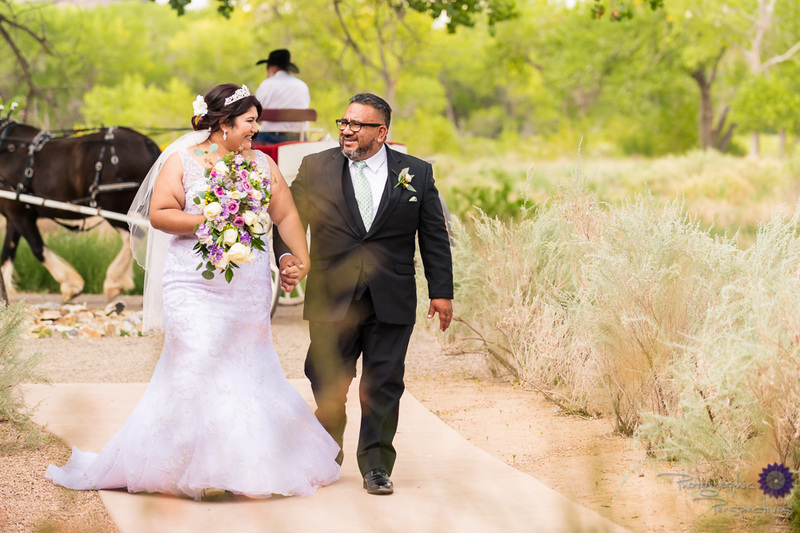 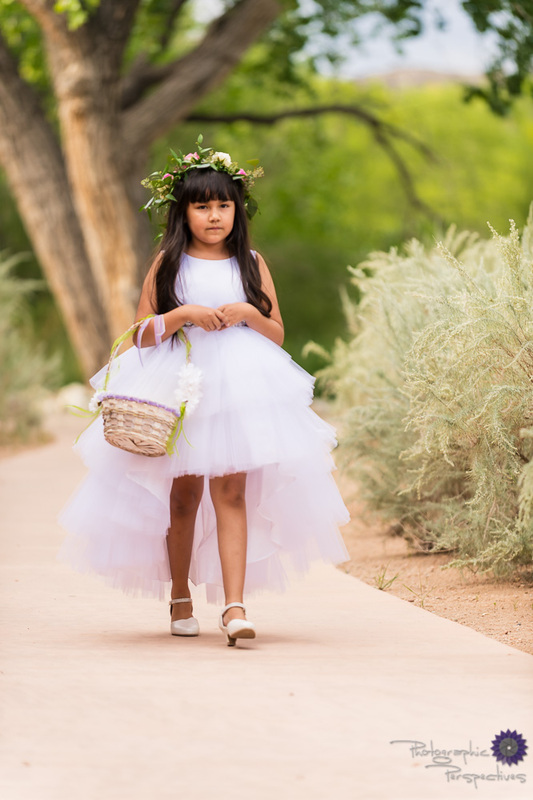 We had an amazing time with Desiree and Mario while they took a romantic stroll through the bosque. 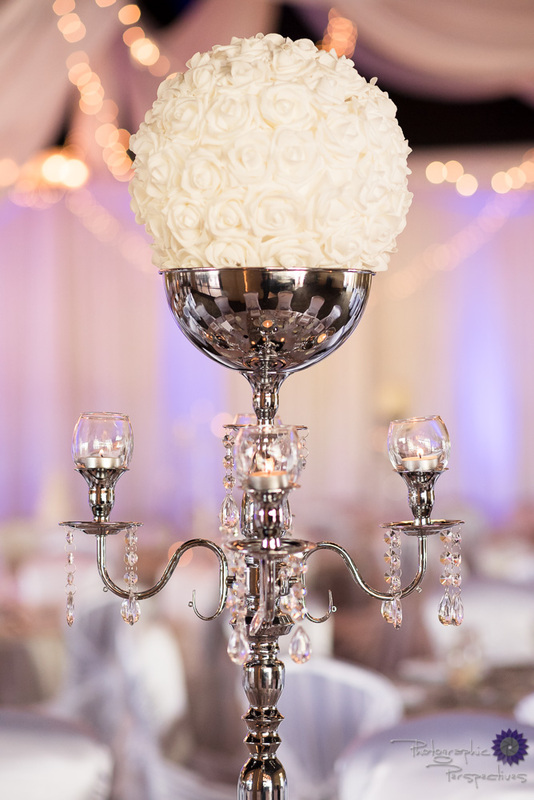 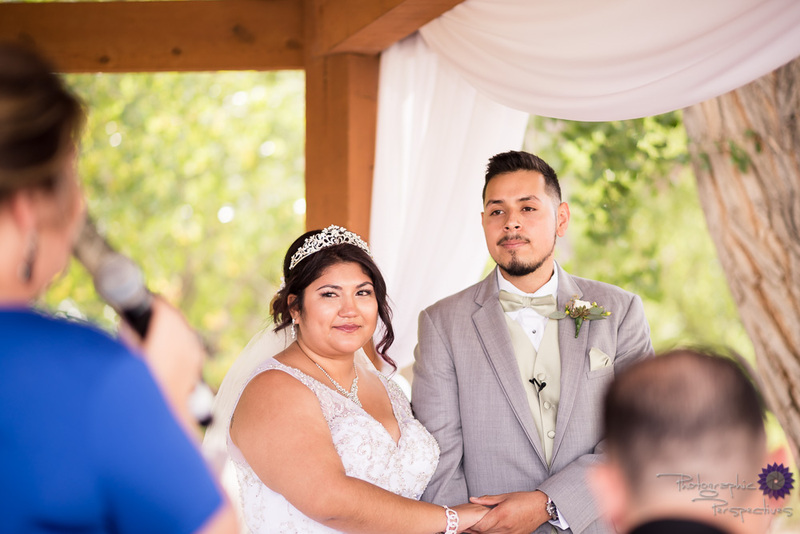 Desiree and Mario had a beautiful wedding this past weekend. 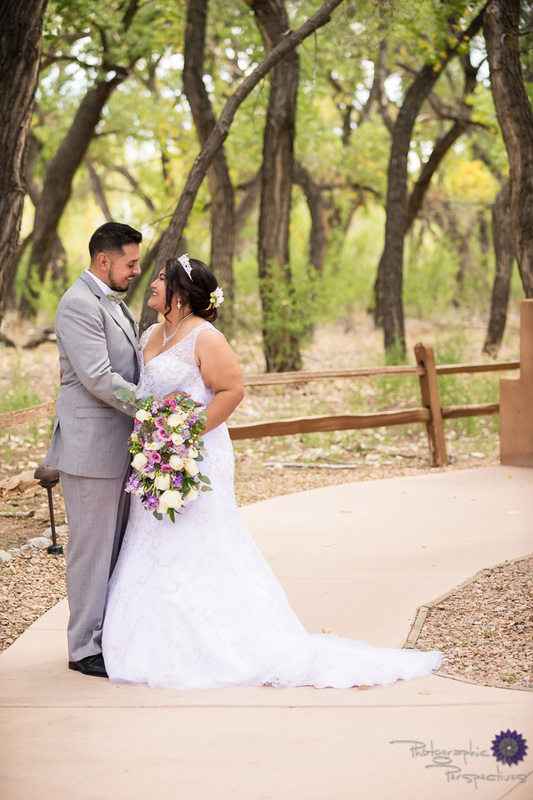 Their wedding was at the wonderful Hotel Albuquerque and we couldn't have asked for better weather. 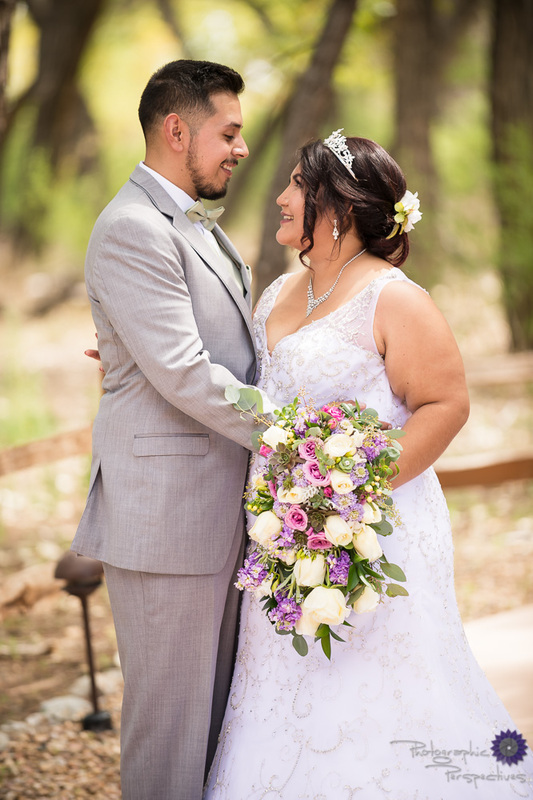 We have so much to show you from this wedding but before we show you it all we wanted to do a quick sneak peek while we finish working on all the images. 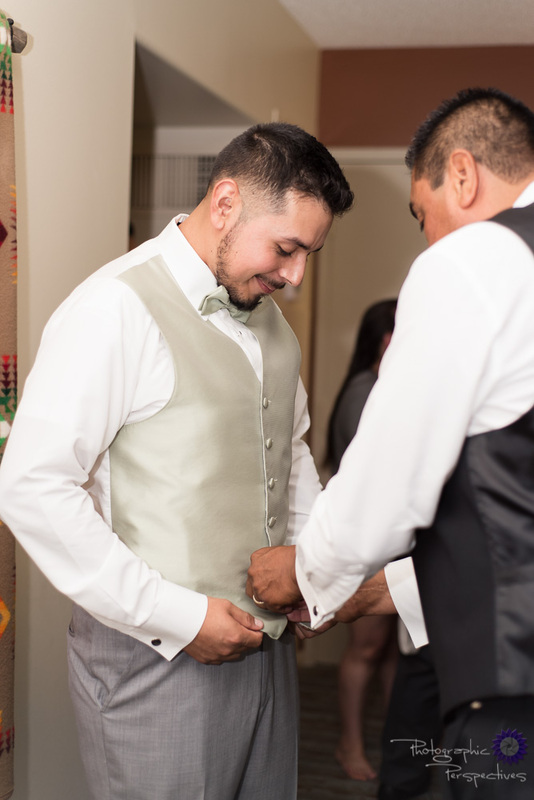 We just can't wait until they are all done! 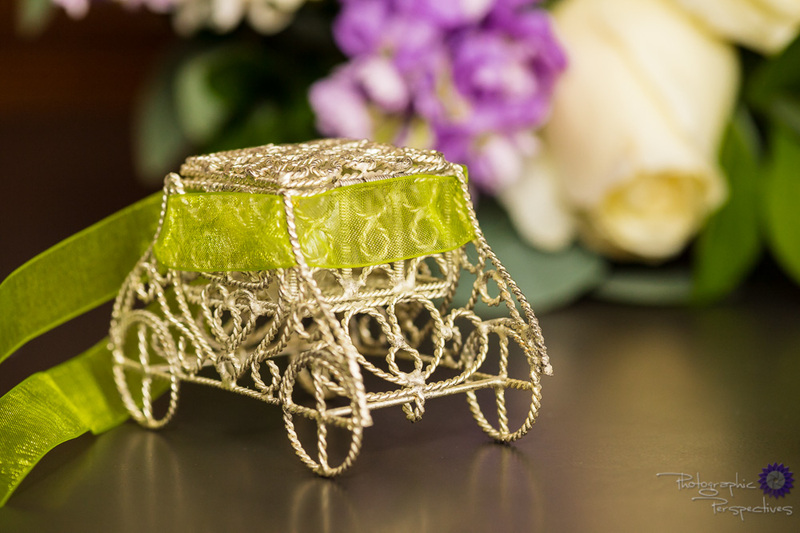 Until then, here is the perfect little snap shot of the day. 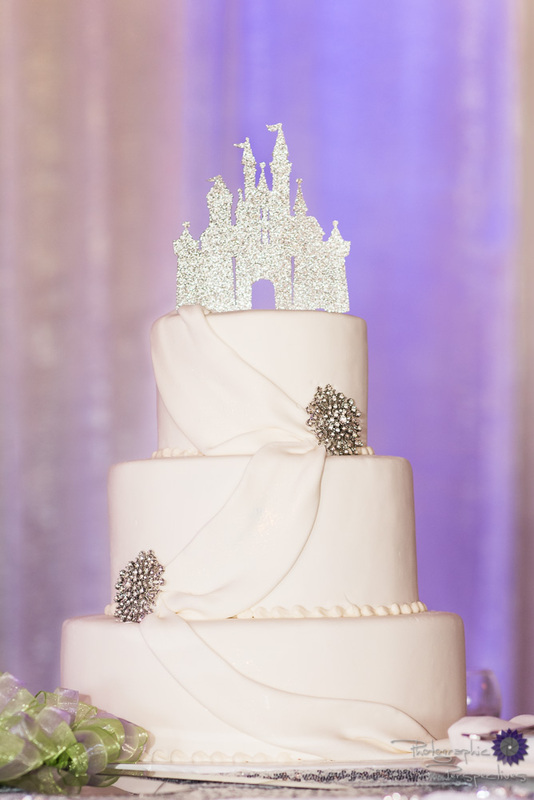 The Wedding cake made by Cake Fetish, was spectacular! 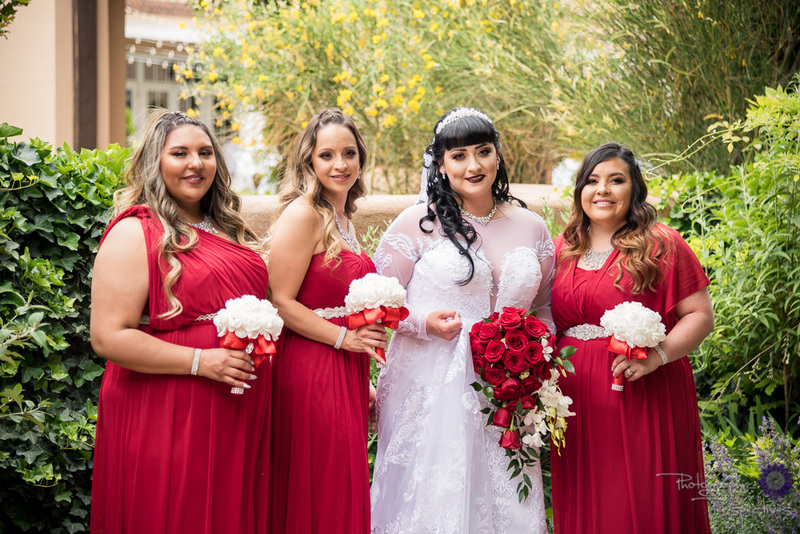 With a cascade of perfect red roses flowing down the front. 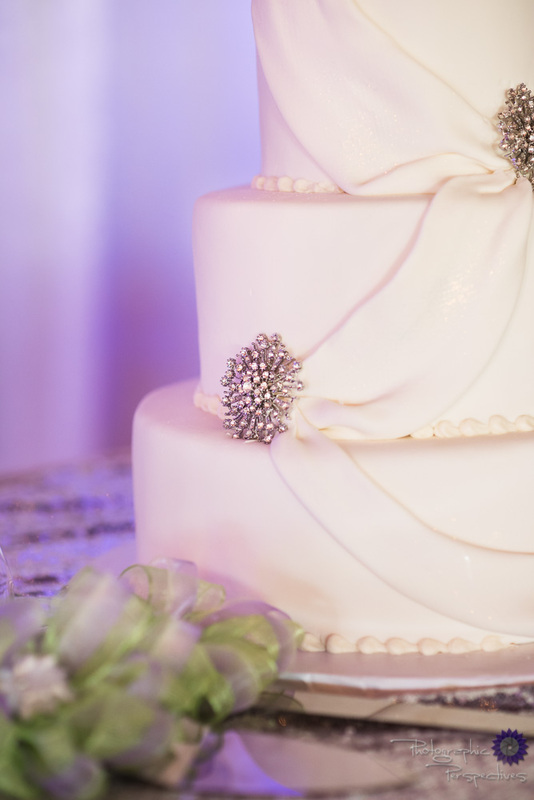 All the little details of that red velvet cake were wonderful including the romantic little silhouette that adorned the top. 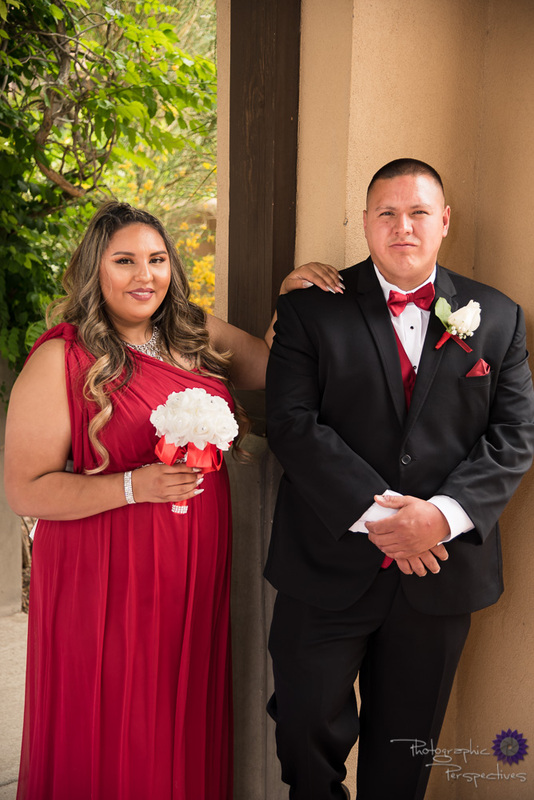 The whole wedding had the perfect amount of red throughout. 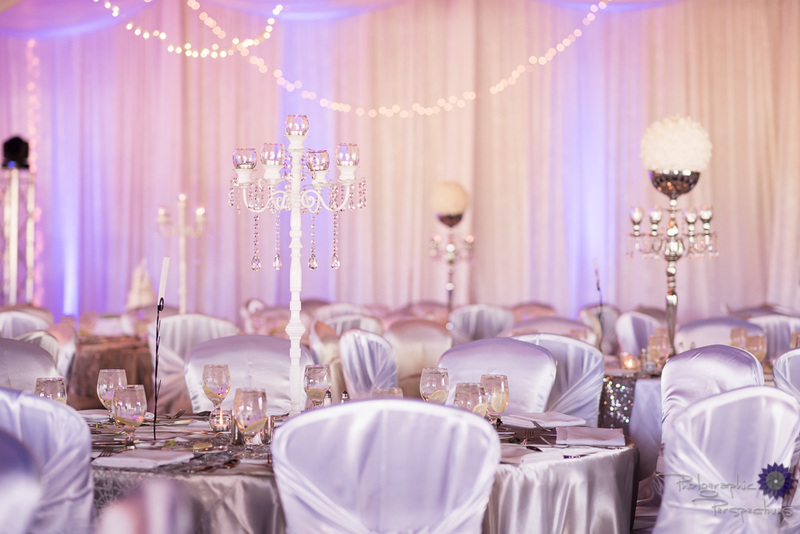 The reception hall was no exception, it had red accents everywhere and we couldn't get enough of it! 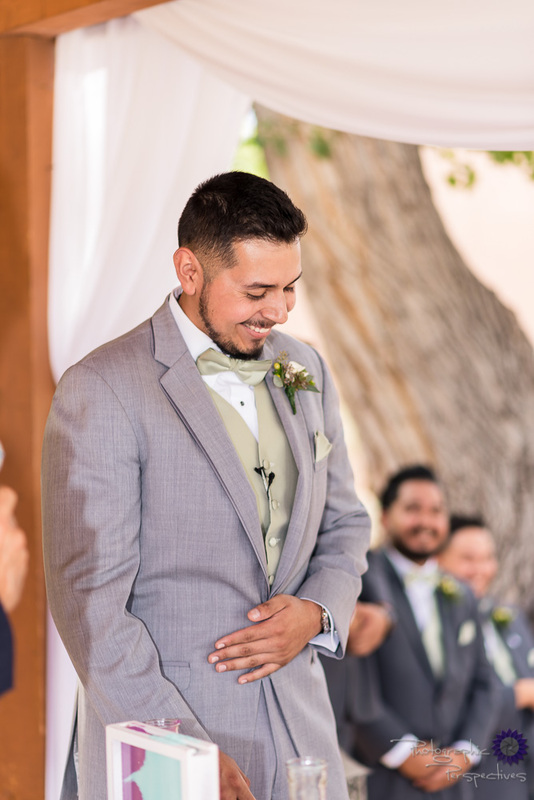 Tucked out of sight, away from any of the guests, Desiree and Mario were able to steal a moment to themselves just before the ceremony. 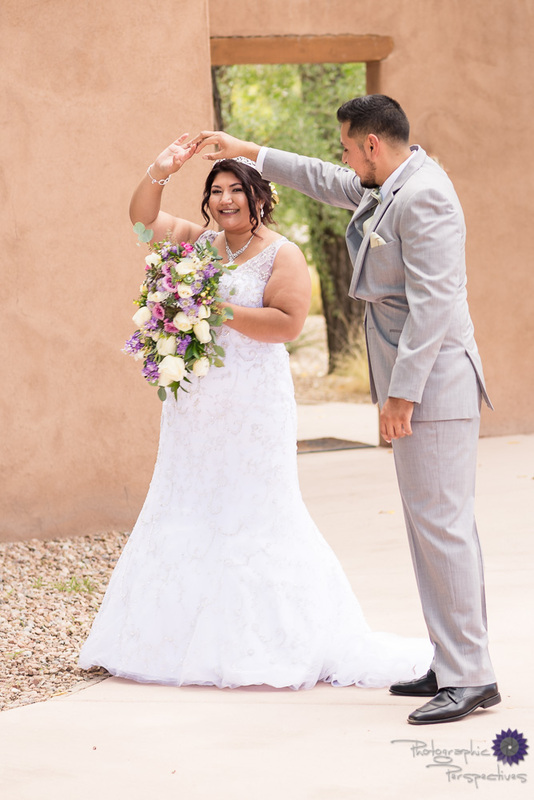 They elected to do a first touch, where they met privately for a romantic moment to say a few words and hold each others hand before walking down the aisle. 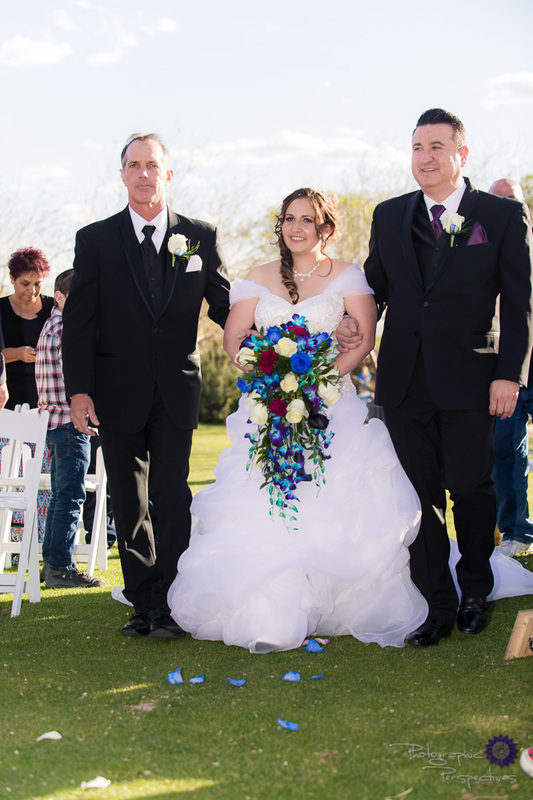 White chairs flanked the ceremony aisle with little details added by the Bride. 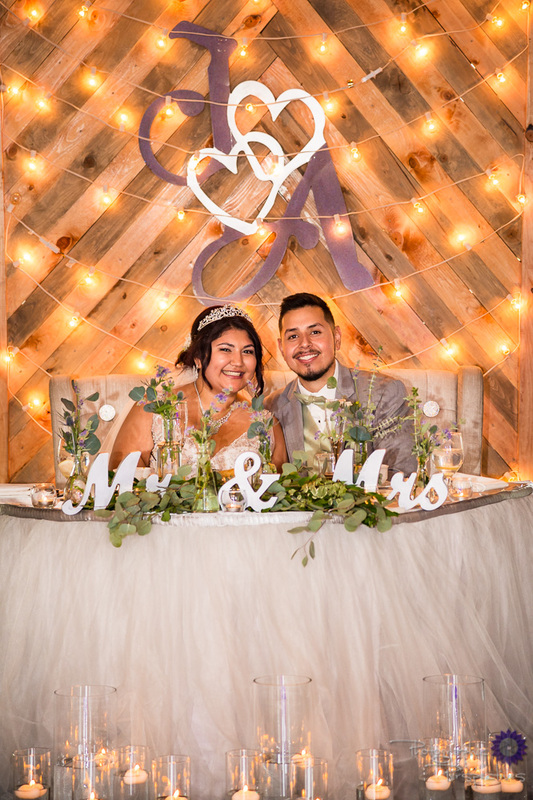 Small wood plagues spelled out their names on either side of the long white aisle runner. 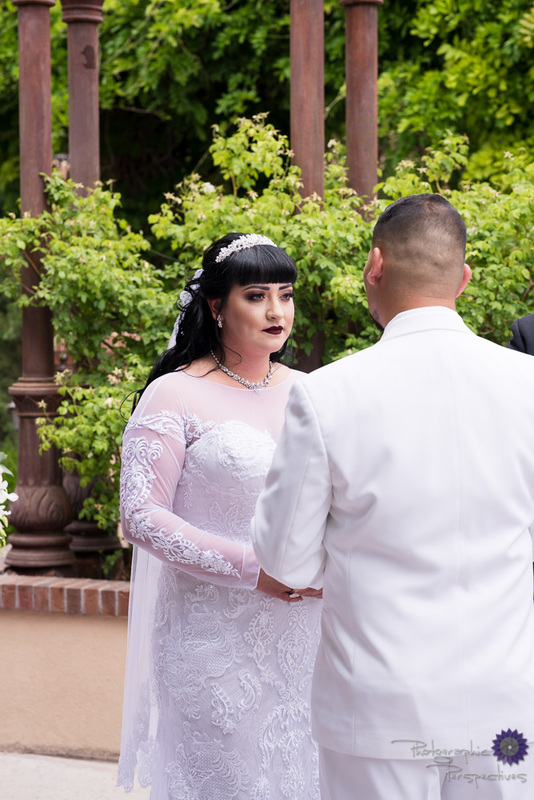 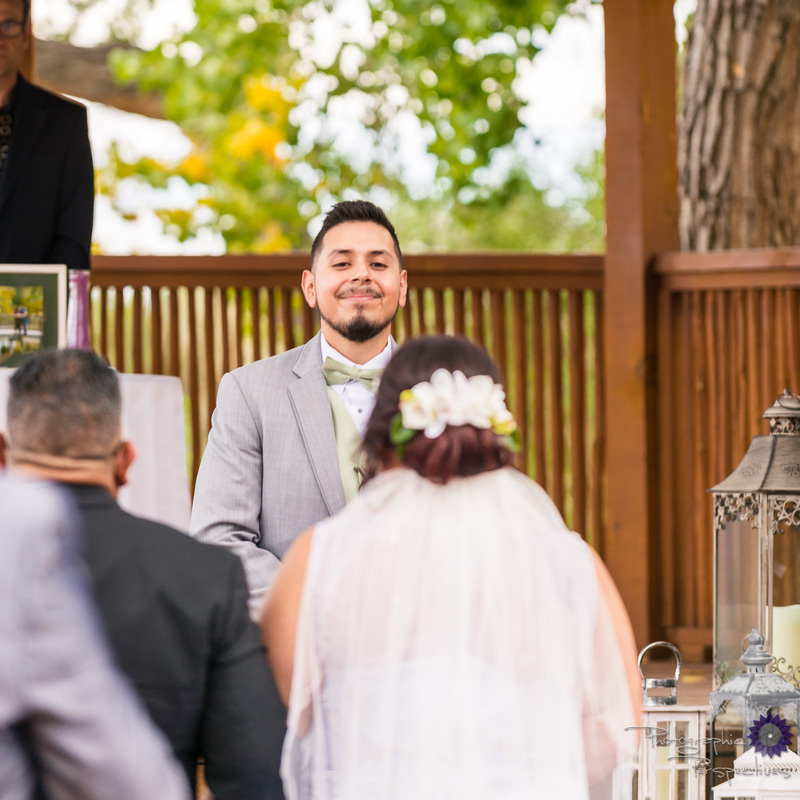 The ceremony was held under the beautiful pavilion and we were surrounded by the beautifully landscaped gardens of Hotel Albuquerque. 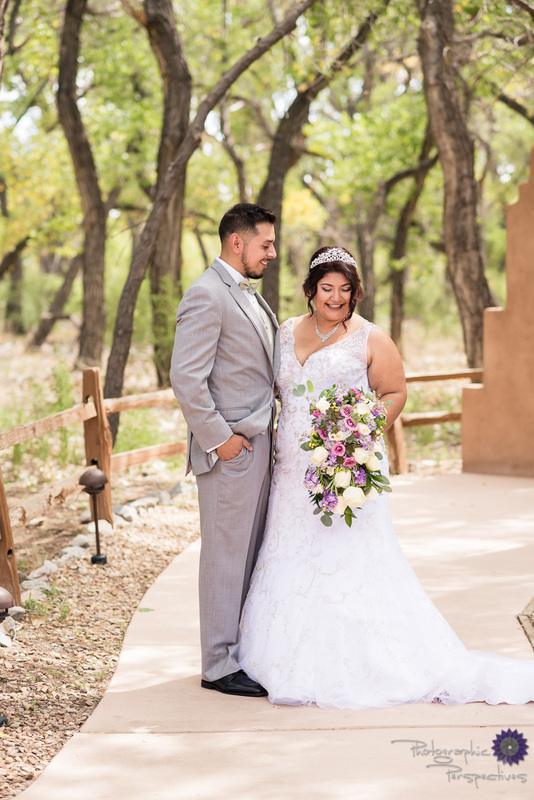 There were lots of special moments during the wedding and we can't wait to show you more! 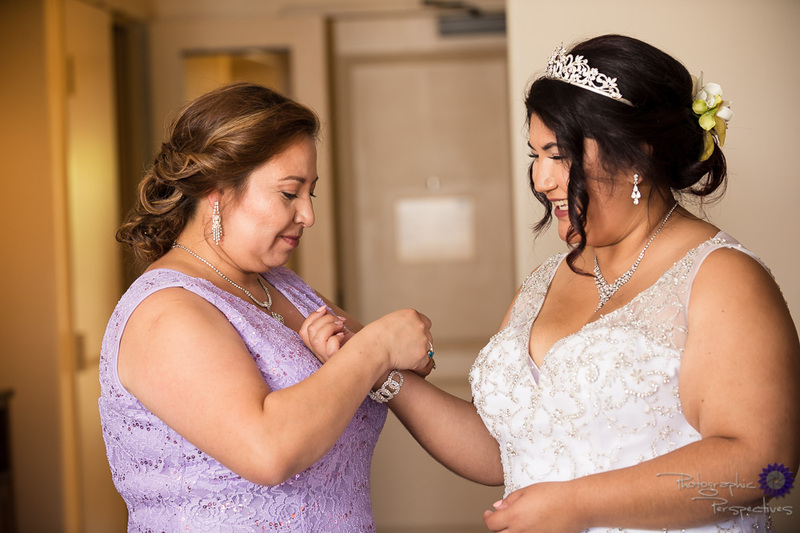 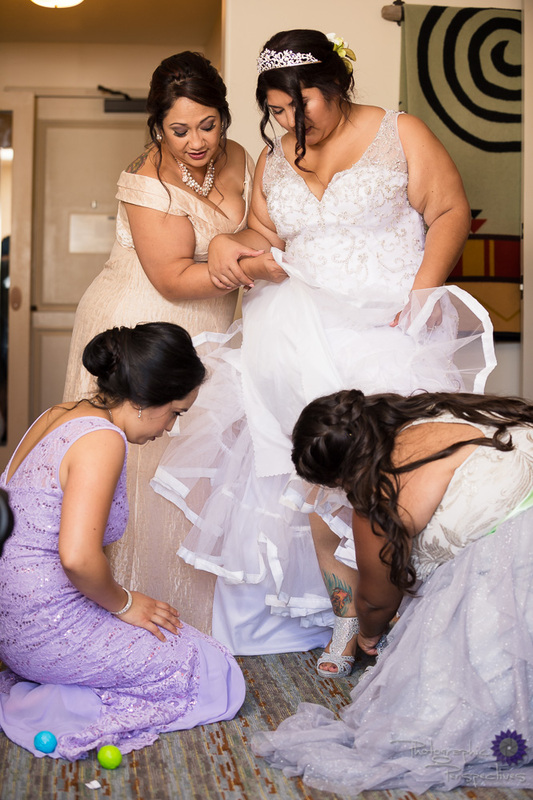 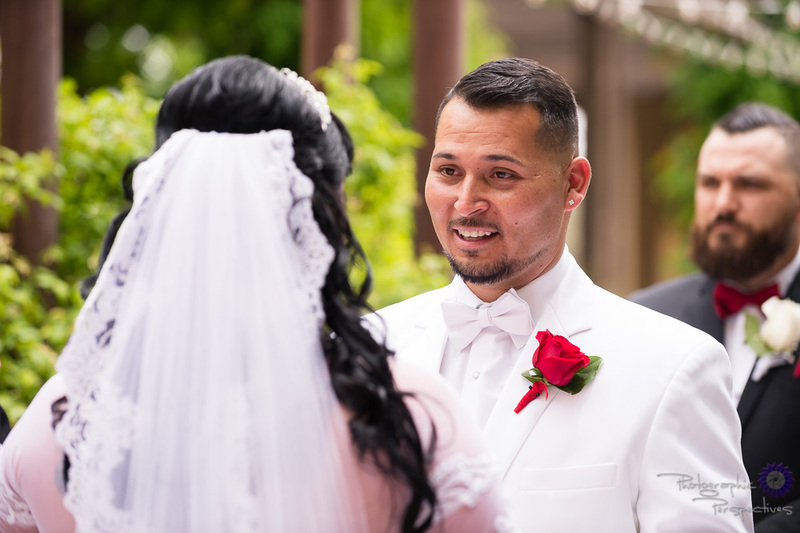 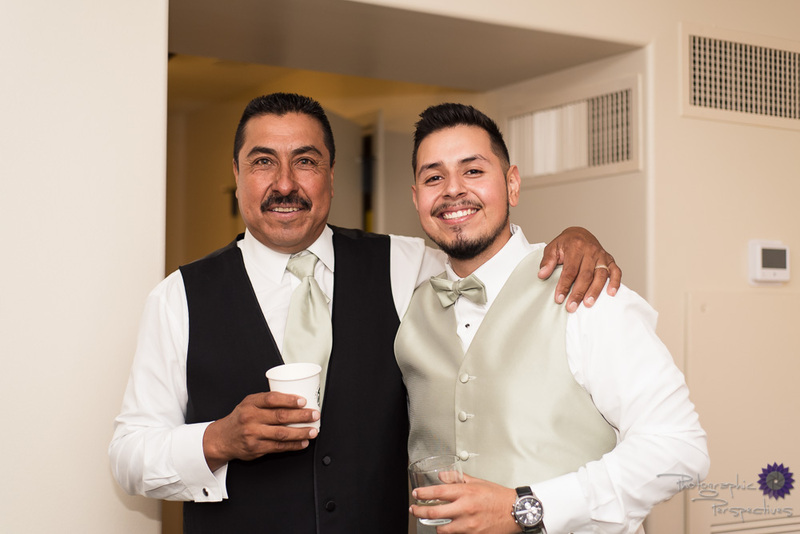 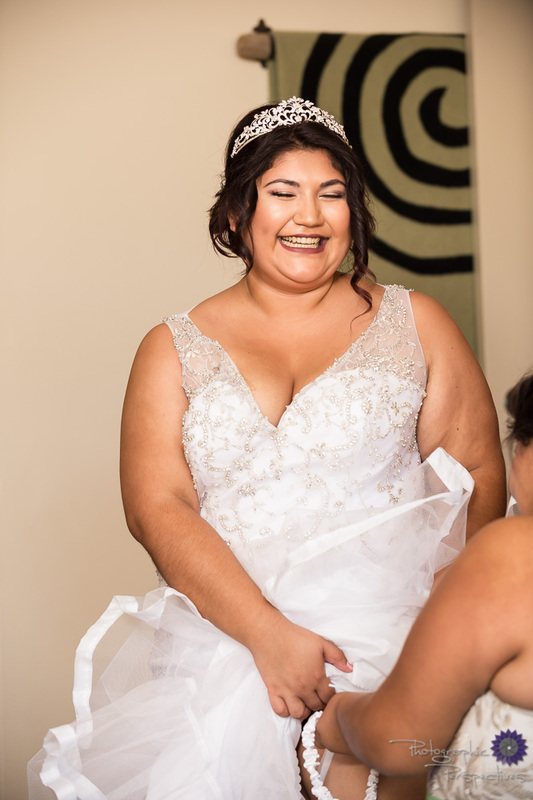 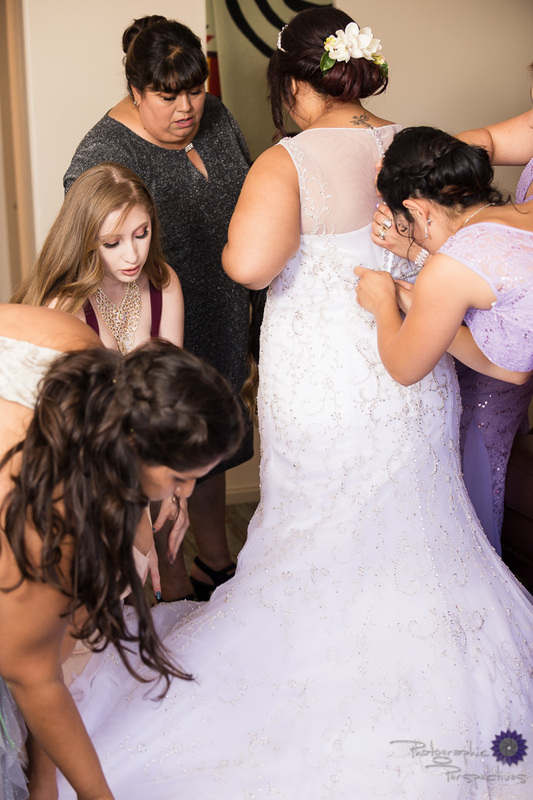 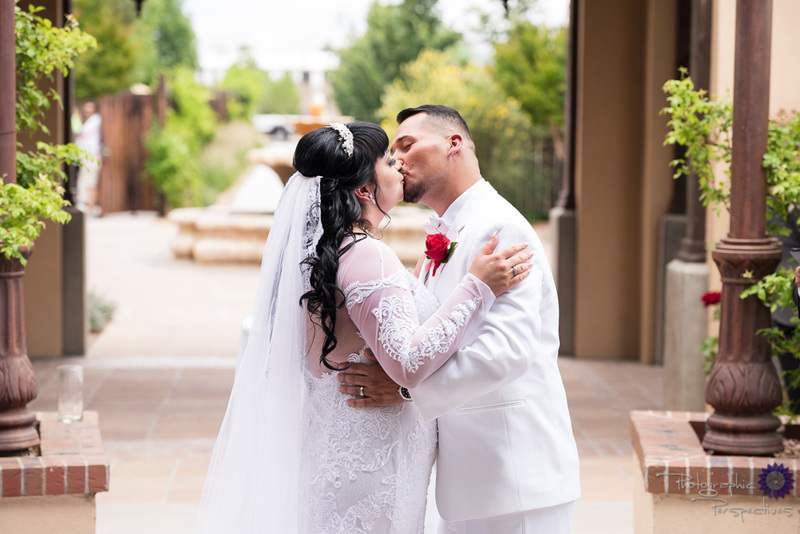 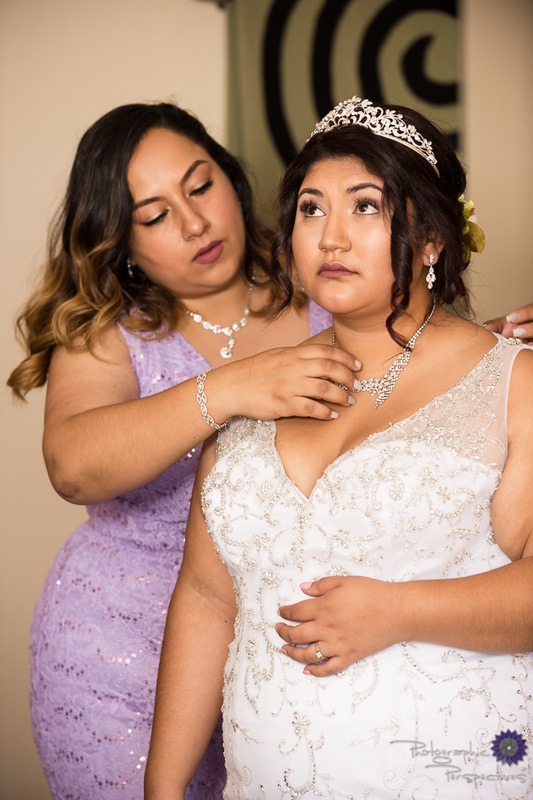 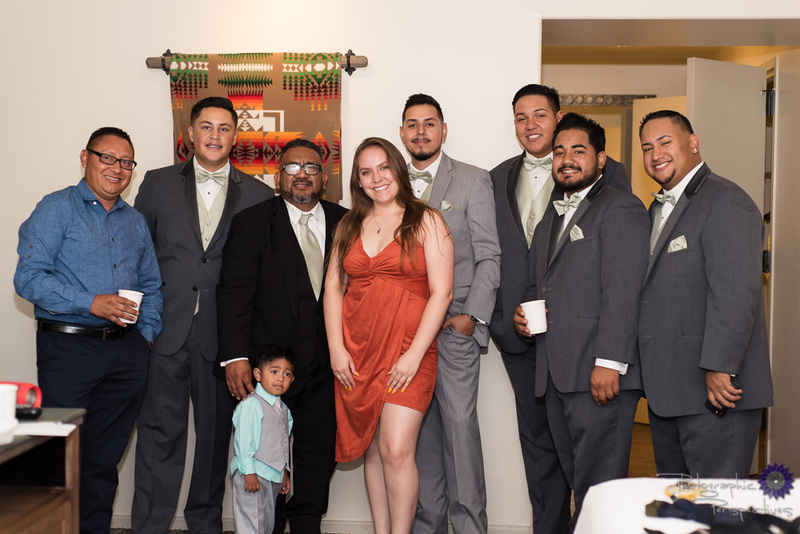 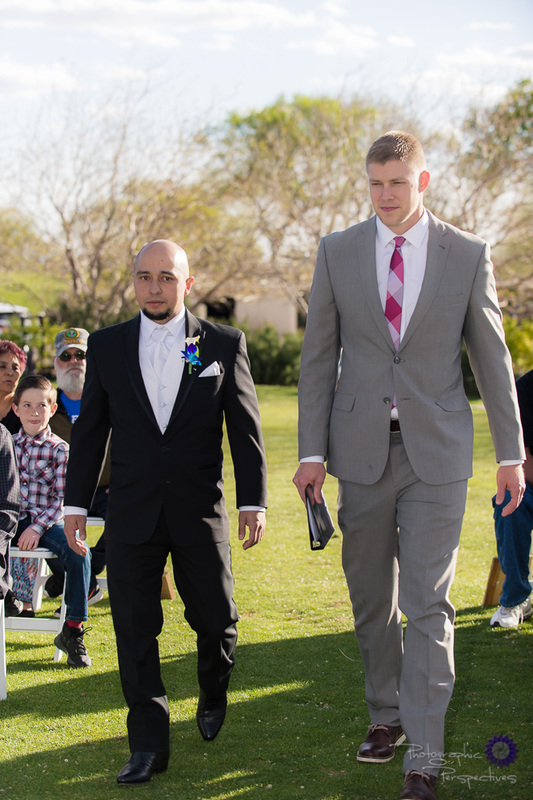 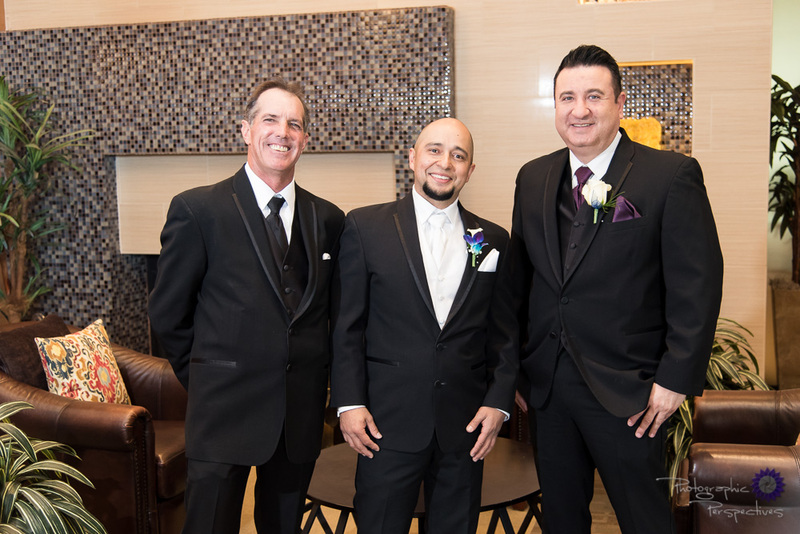 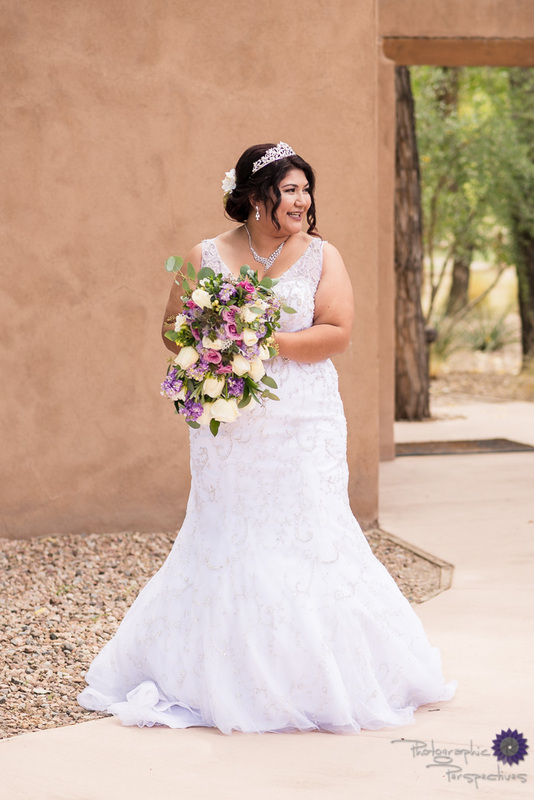 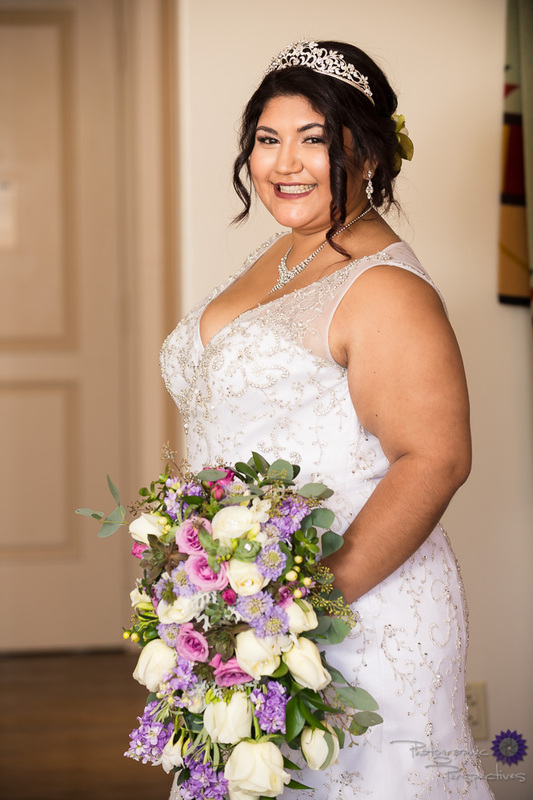 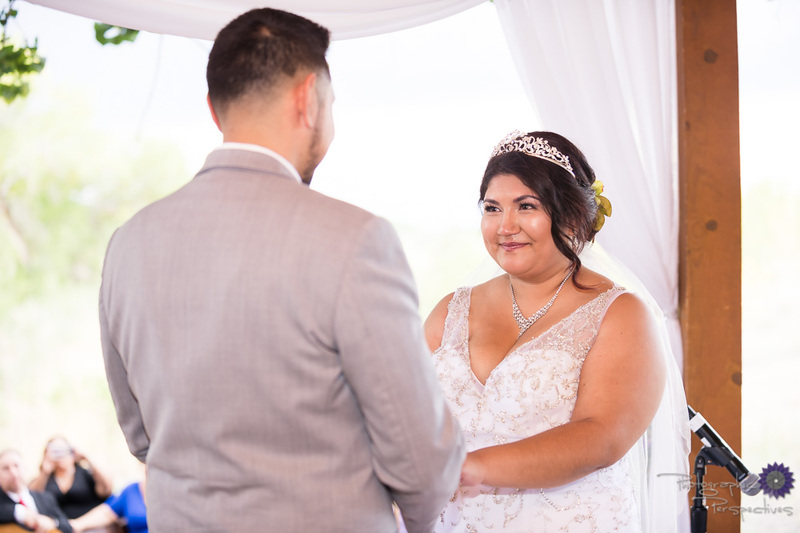 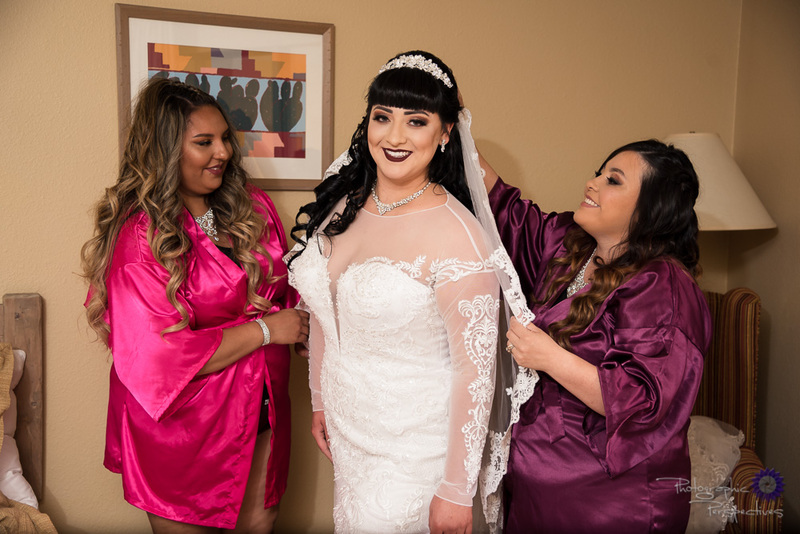 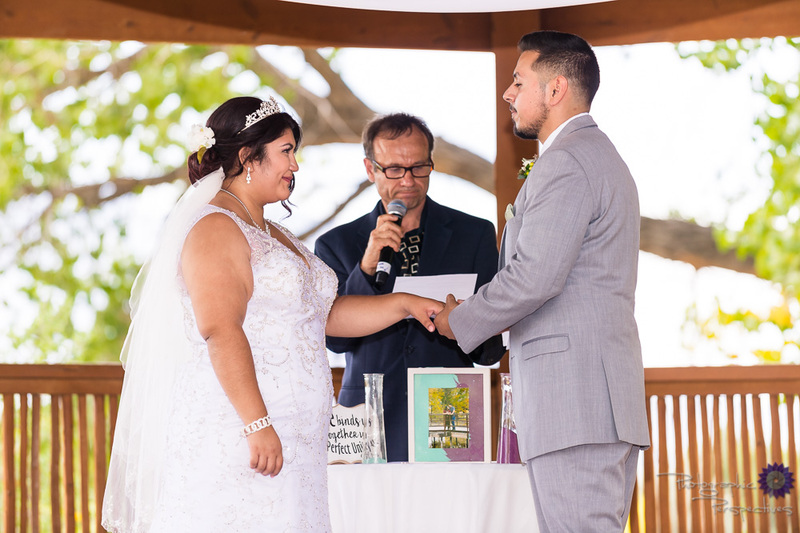 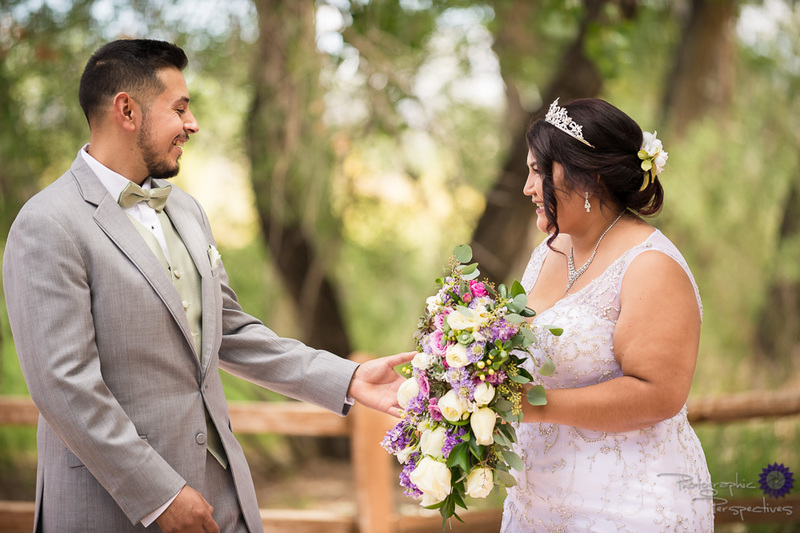 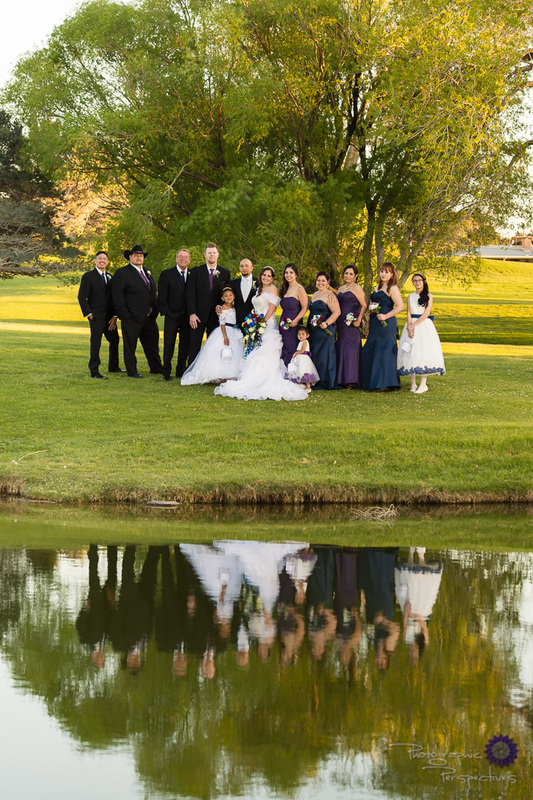 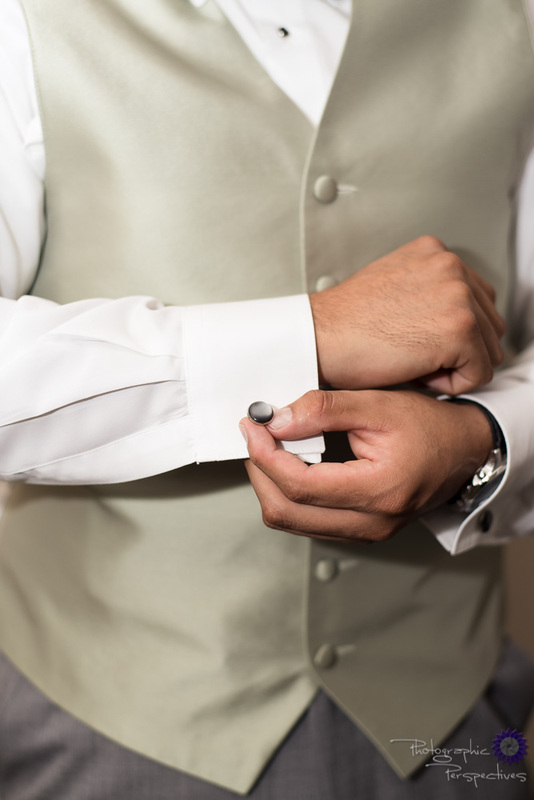 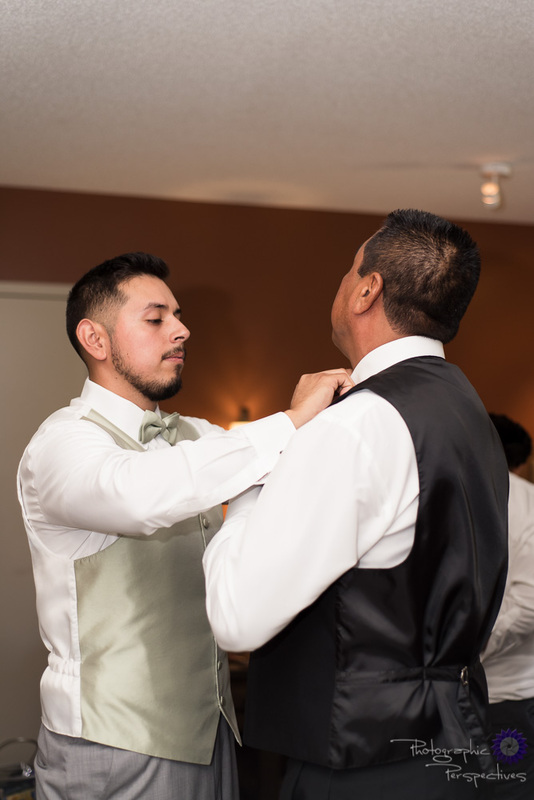 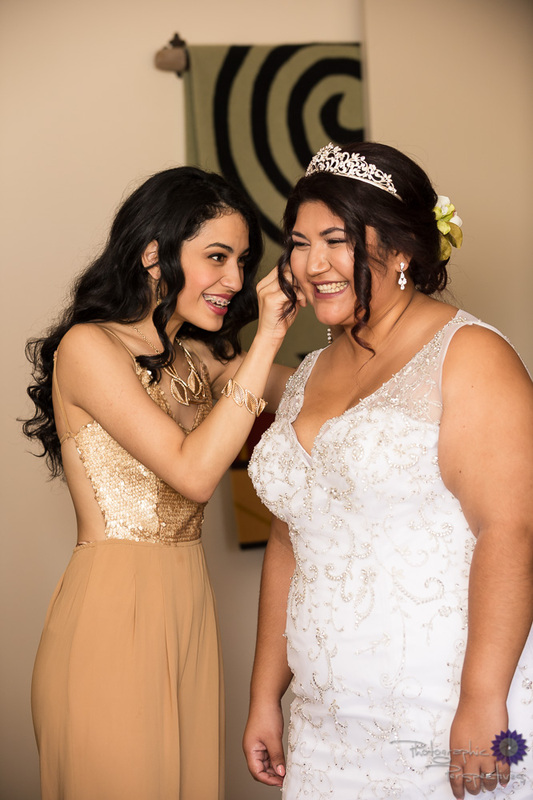 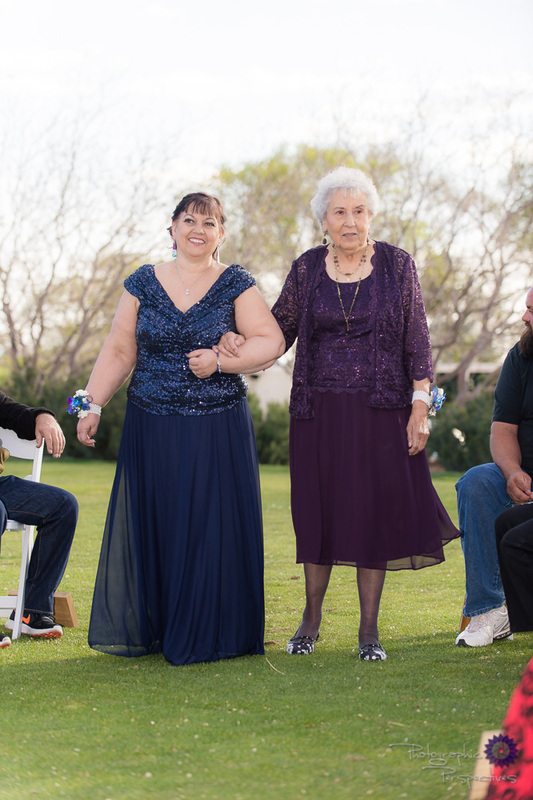 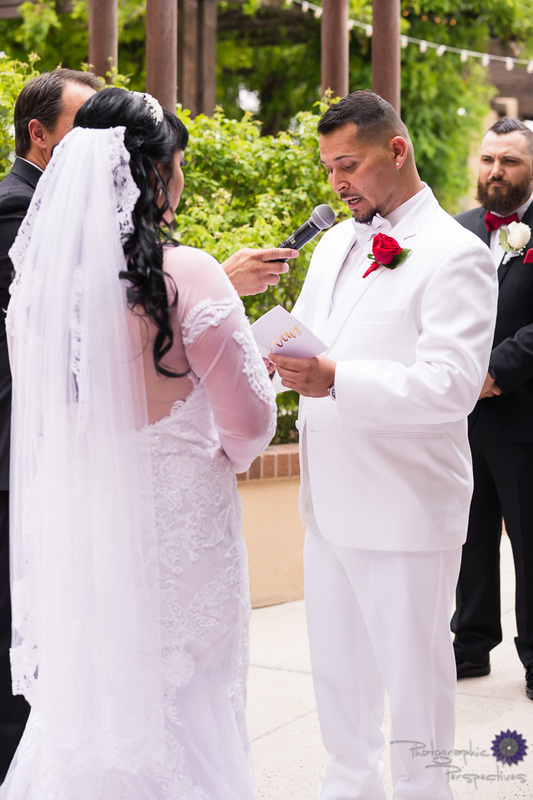 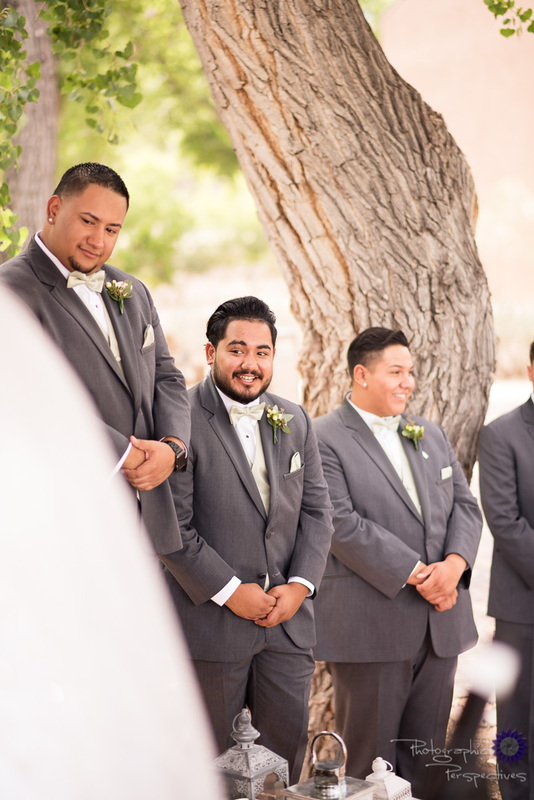 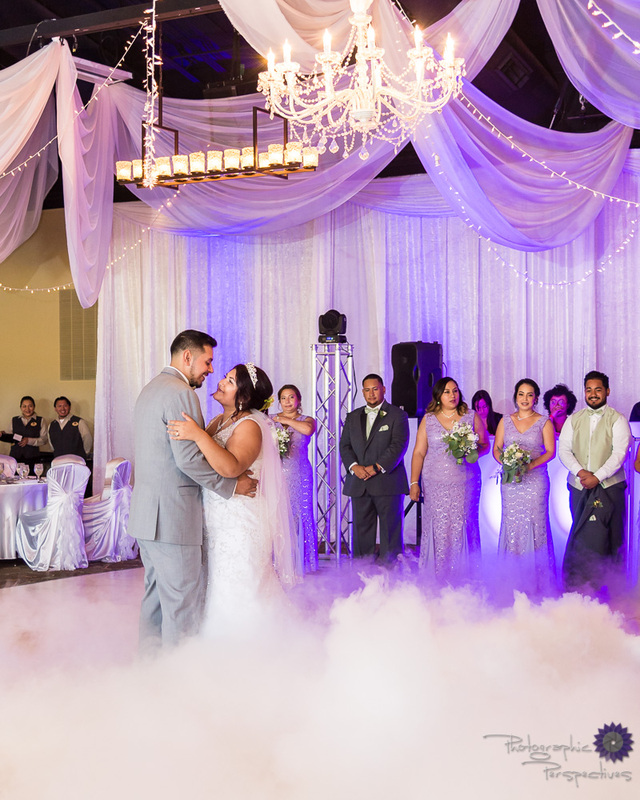 Thank you for taking the time to look at our small sneak peek of Desiree and Mario's Hotel Albuquerque wedding. 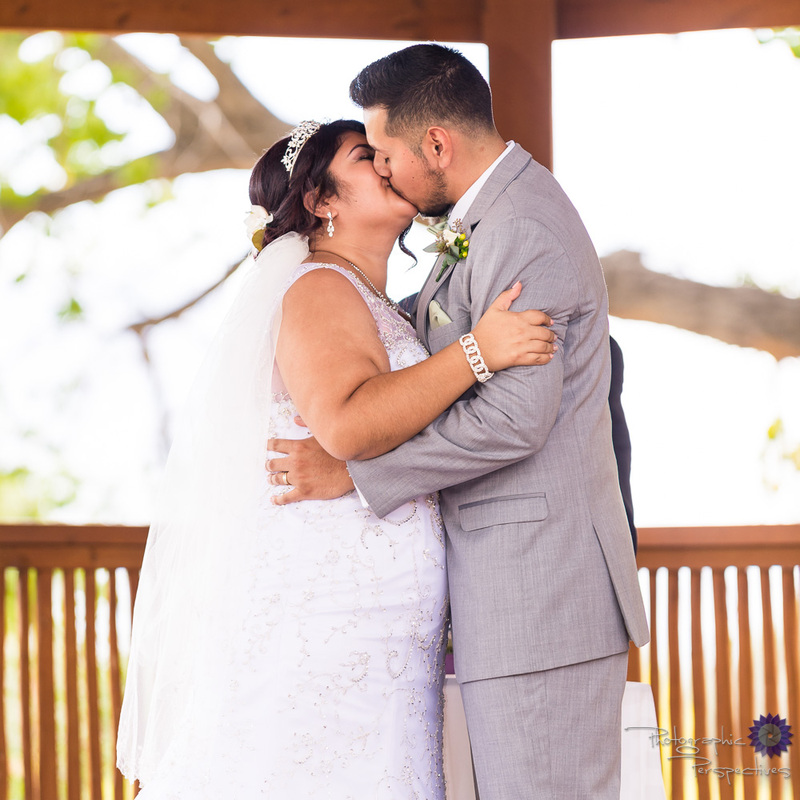 Stay tuned for their full blog! 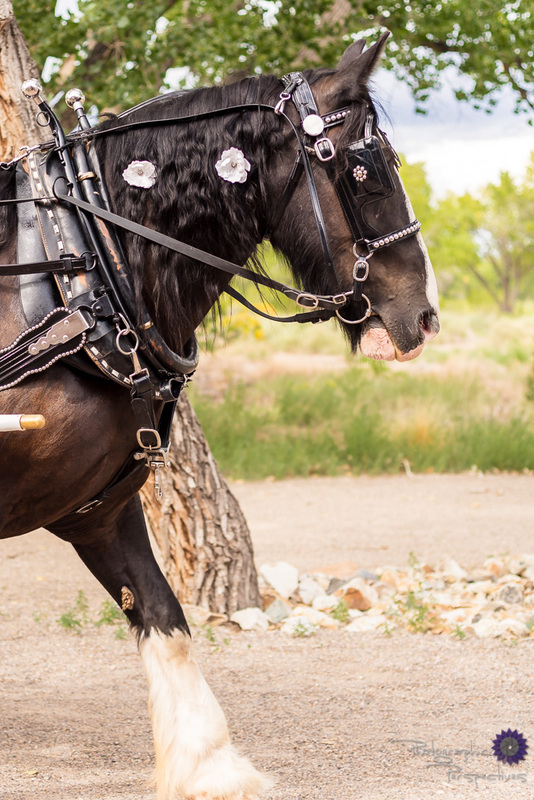 If you loved their wedding sneak peek you're sure to love their Engagement Session. 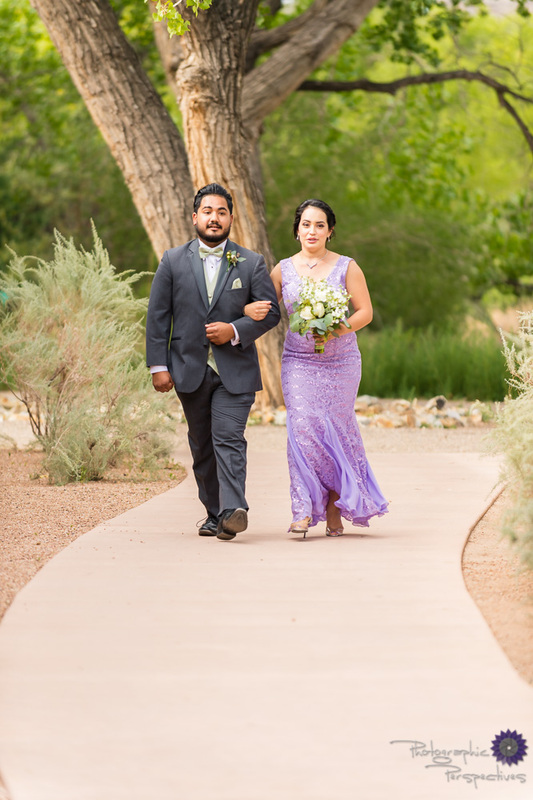 We had an amazing time with Desiree and Mario down by the Rio Grande River for an evening stroll. 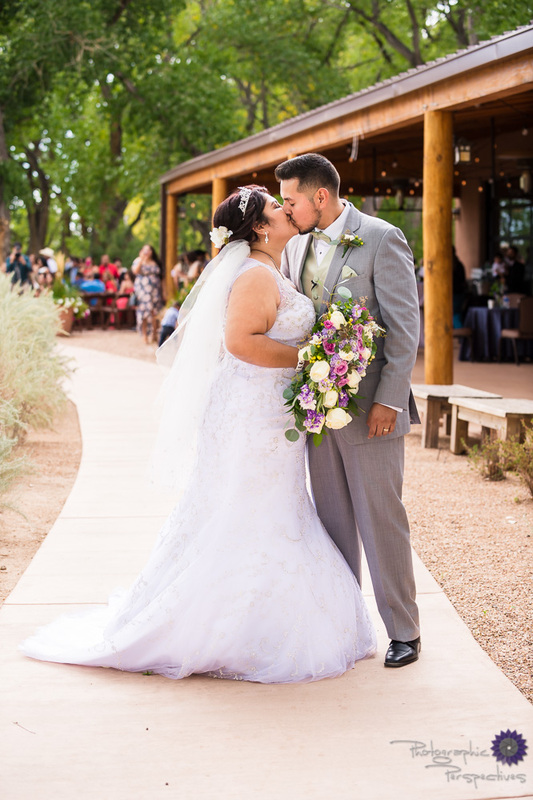 Bryannah and Gabriel had one amazing wedding this past weekend. 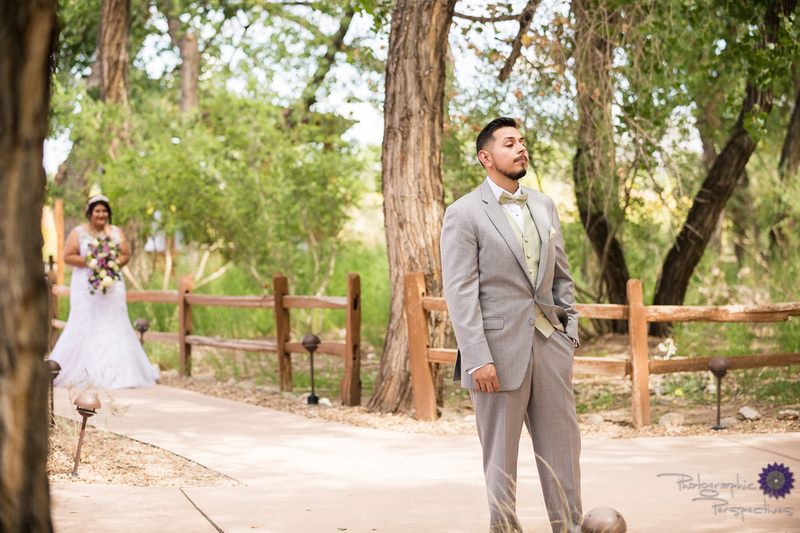 The sun was shinning, the temperature was perfect, and there was no wind. 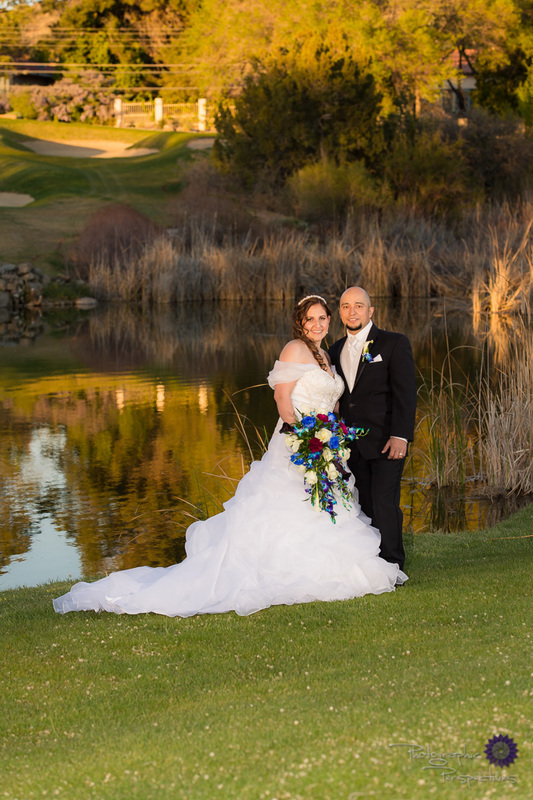 We couldn't have asked for better weather. 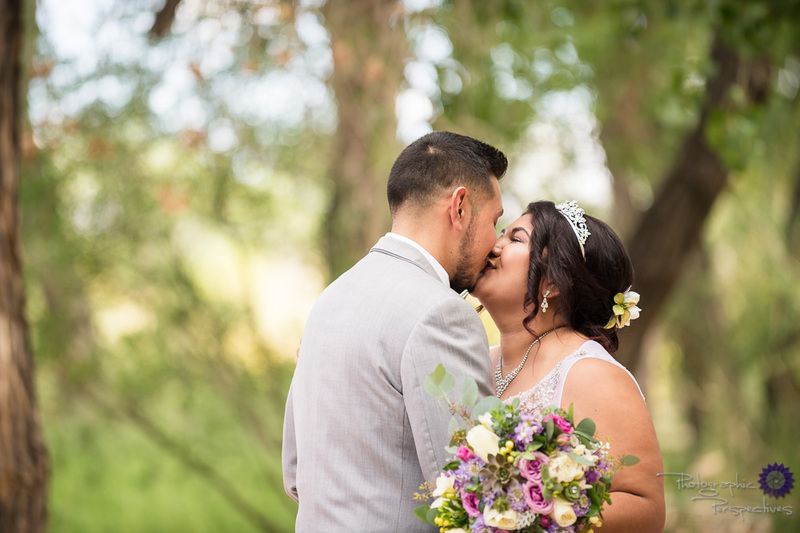 We have so much to show you from this wedding but before we show you it all we wanted to do a quick sneak peek while we finish working on all the images. 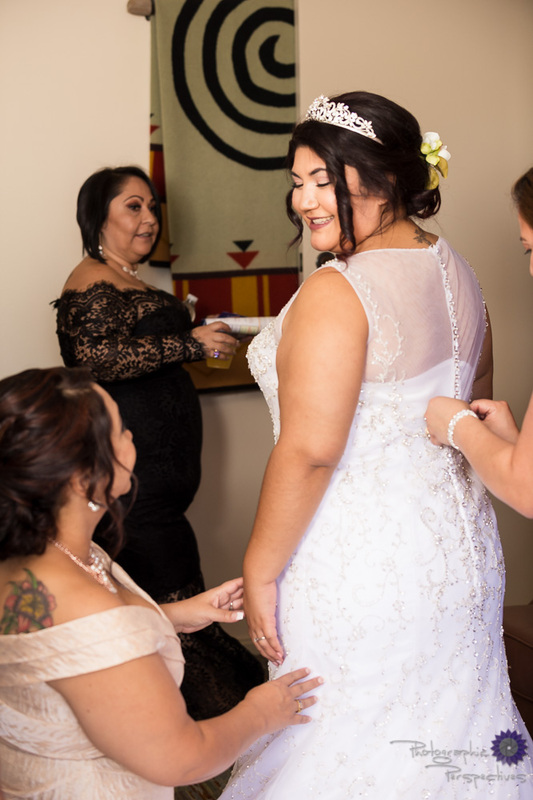 We just can't wait until they are all done! 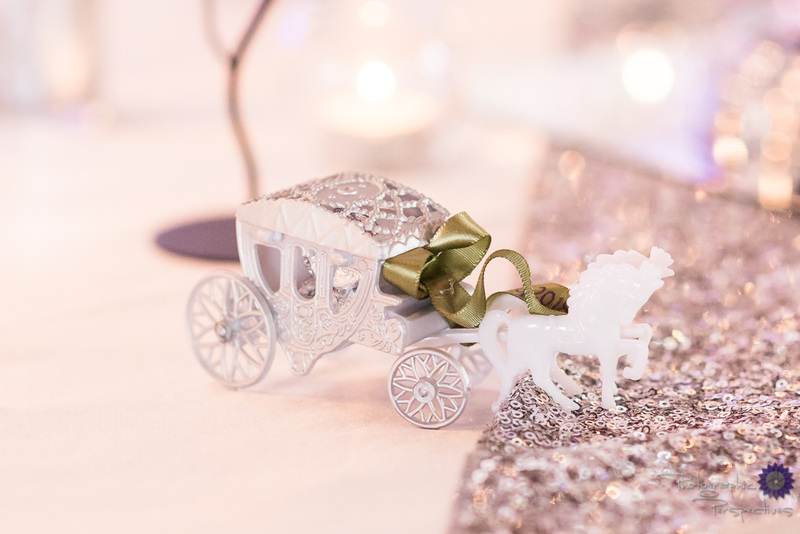 Until then here is the perfect little snap shot of the day. 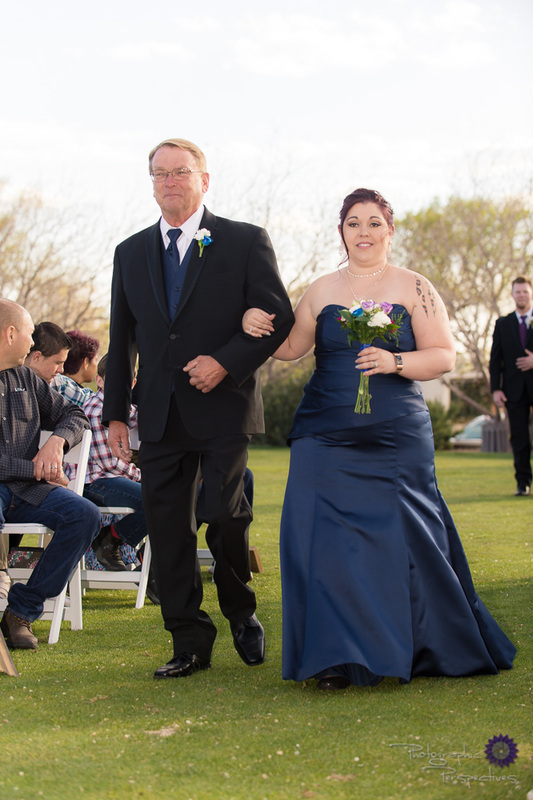 The Wedding cake was beautiful, with blue and purple orchids cascading down the front. 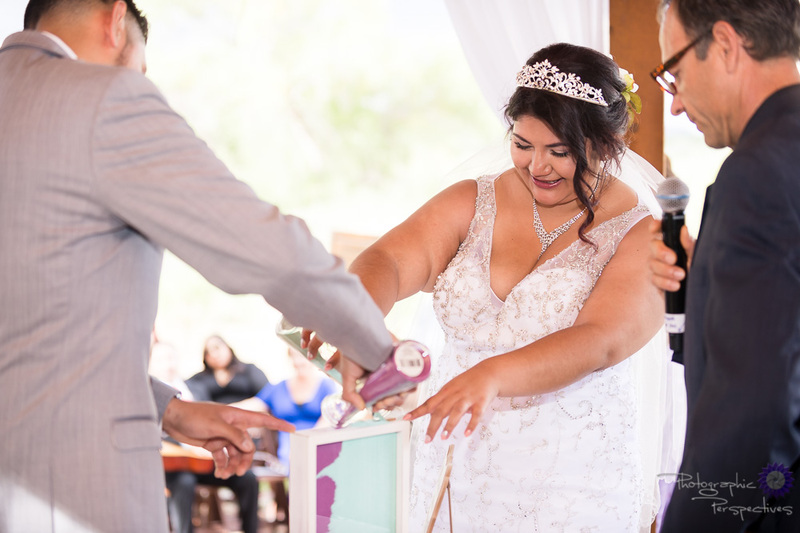 Their 4-tier cake was topped with a custom engraved glass heart. 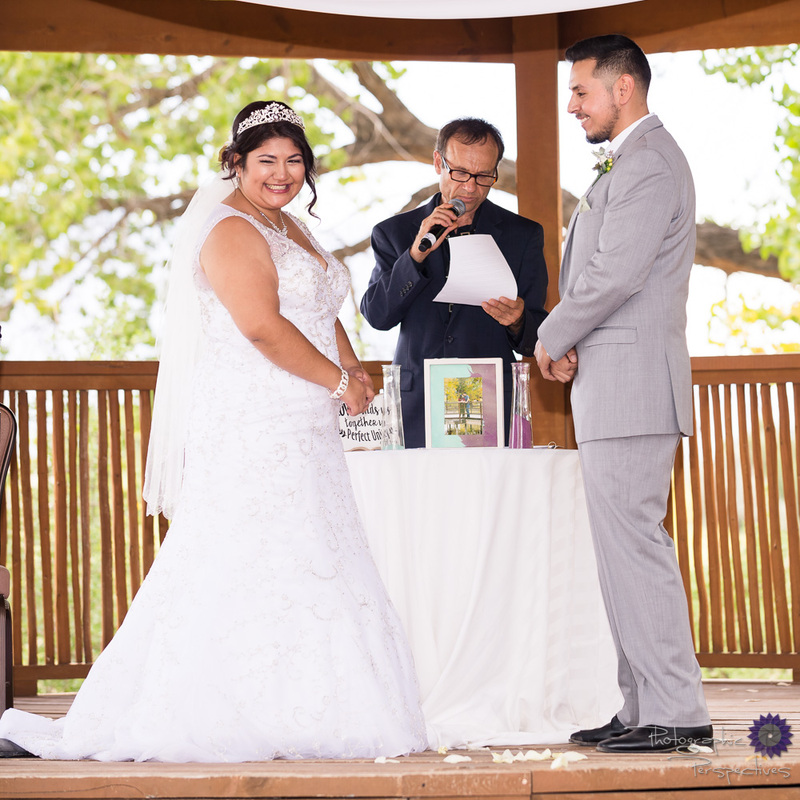 Their names and wedding date inscribed on the front and 1 Corinthians 13:4-8 beautifully etched on the back. 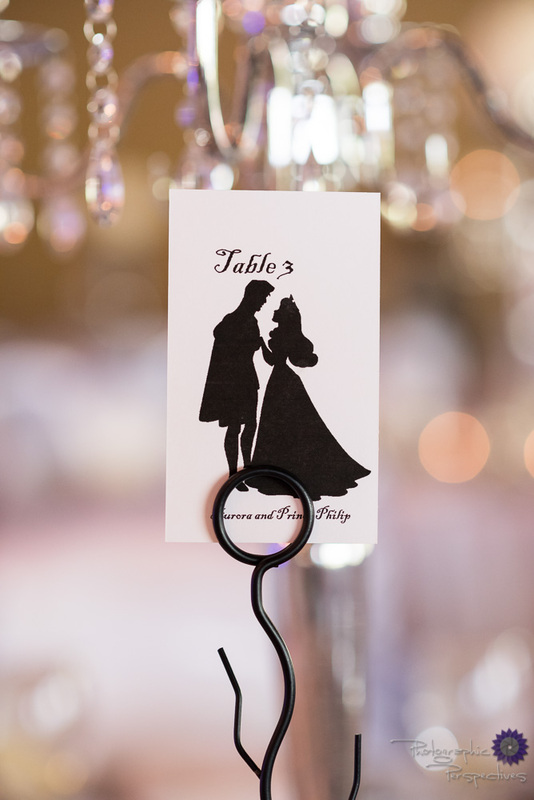 This cake topper was really something special and unique. 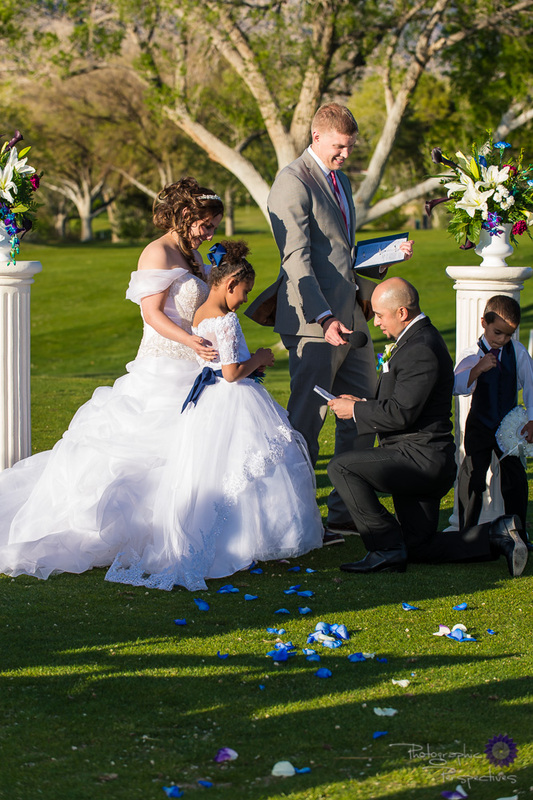 White chairs flanked the ceremony aisle with little details added by the bride. 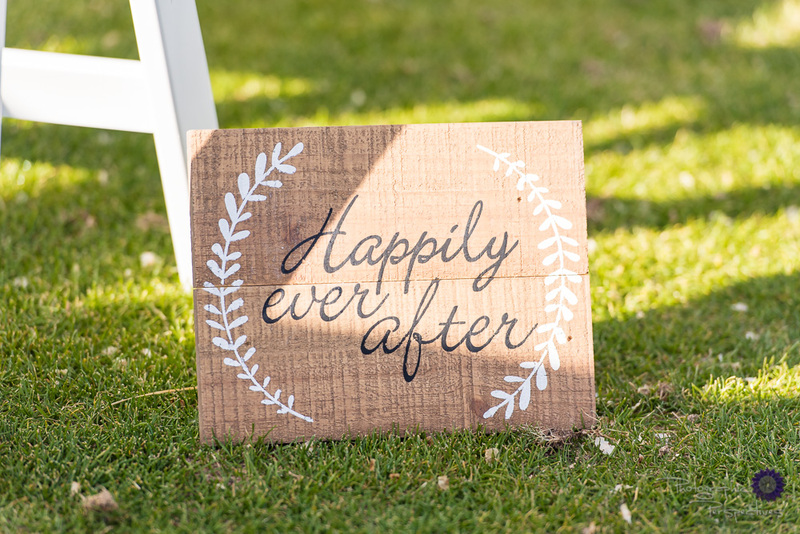 Small wood plagues greeted you as you took your seat for the ceremony. 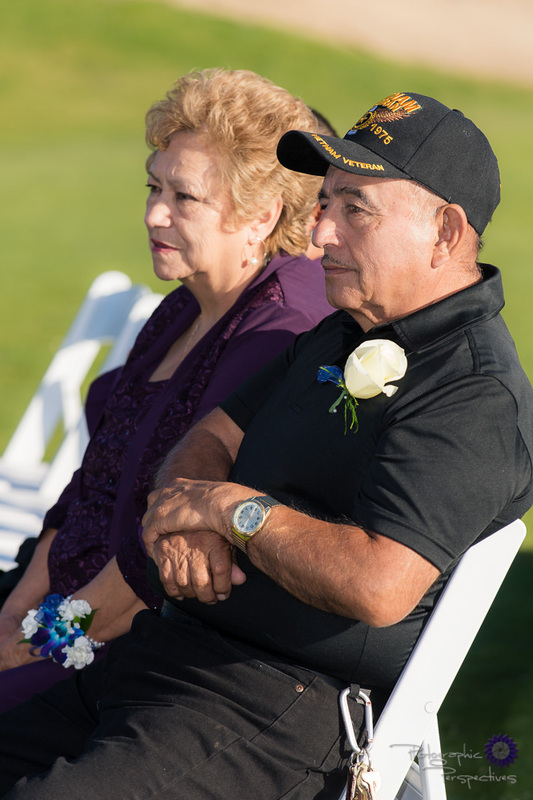 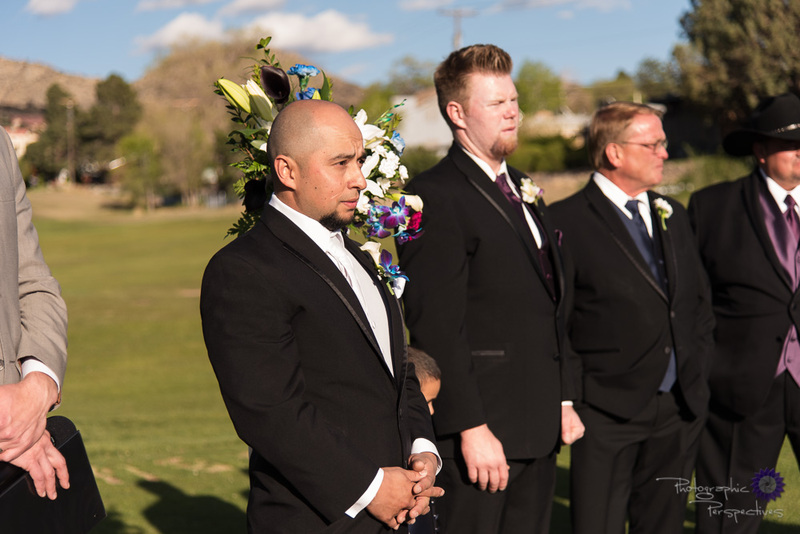 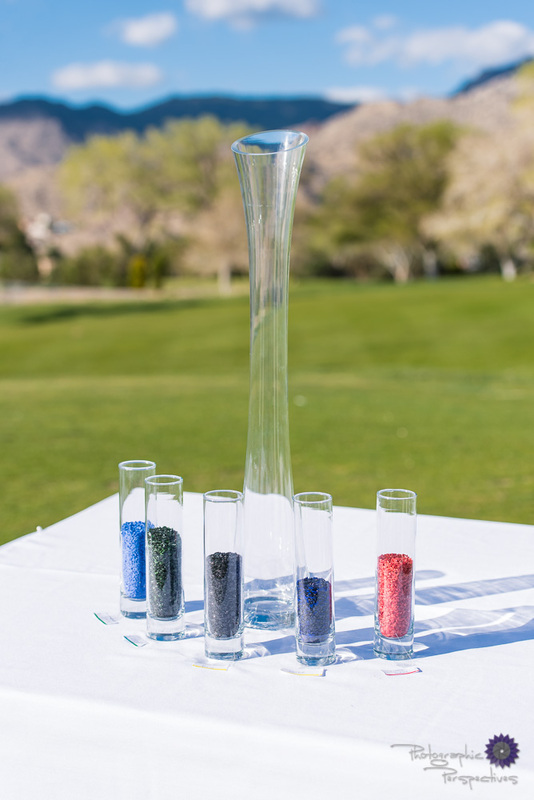 The ceremony was held on the driving range of the Canyon Club golf course. 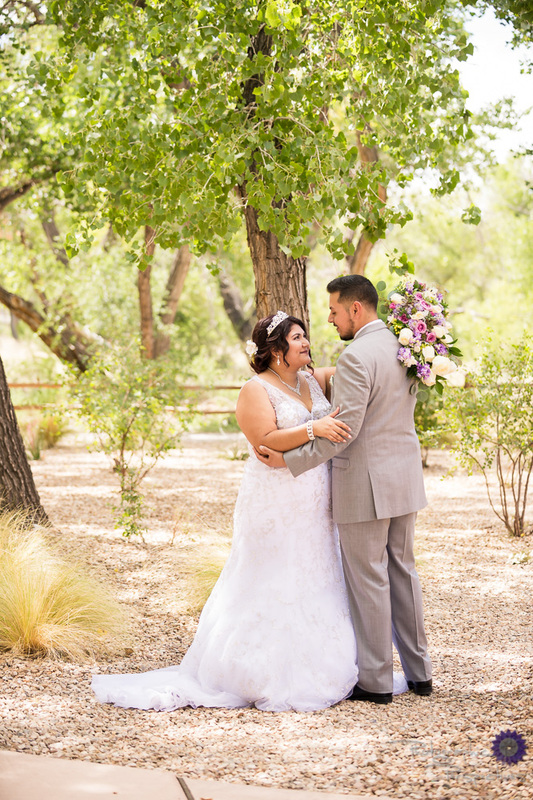 The views of the mountains were stunning with lush grass, beautiful green trees, and perfectly blue skies. 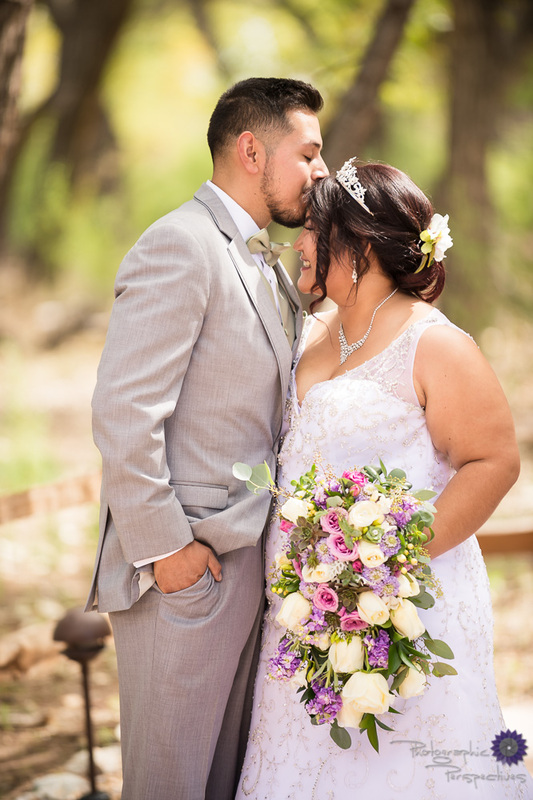 There were lots of special moments during the wedding and we can't wait to show you more! 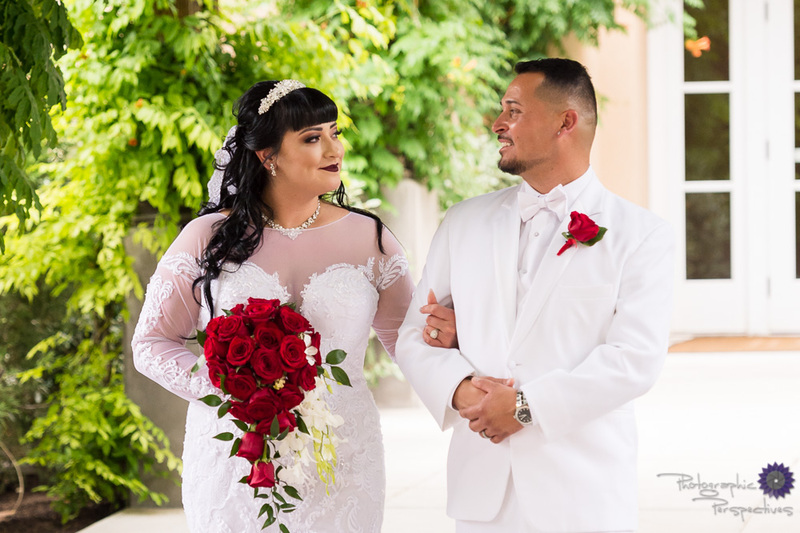 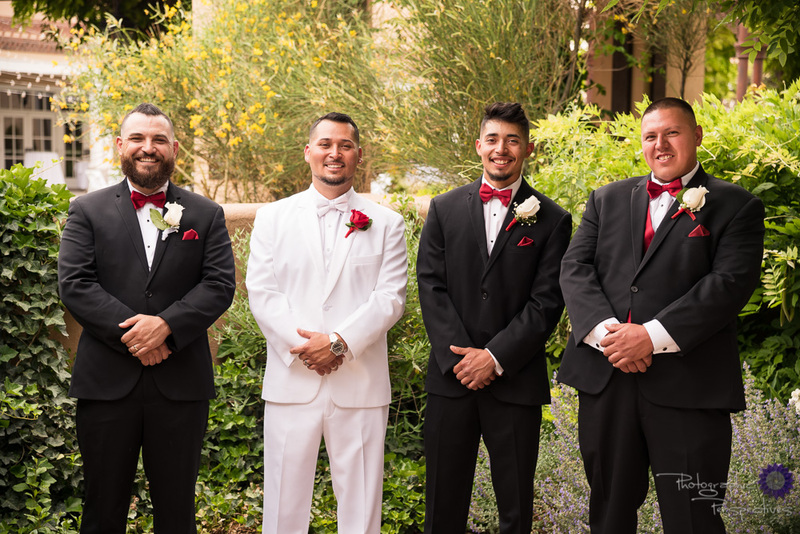 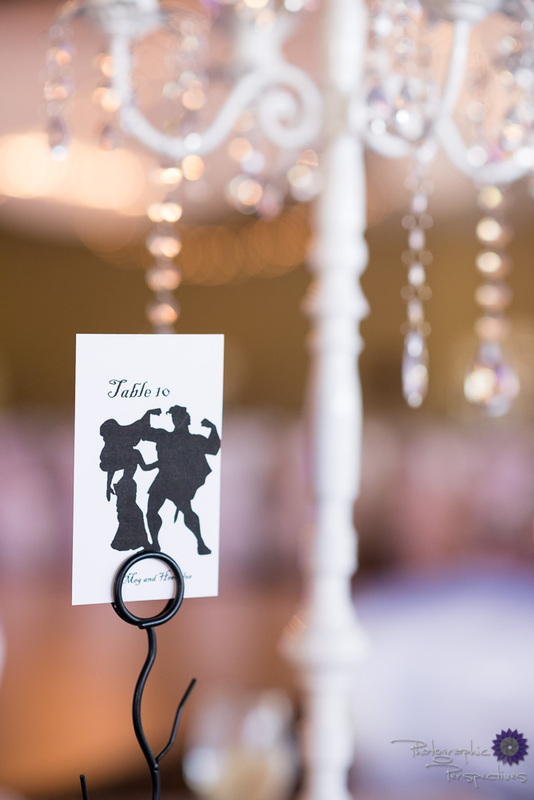 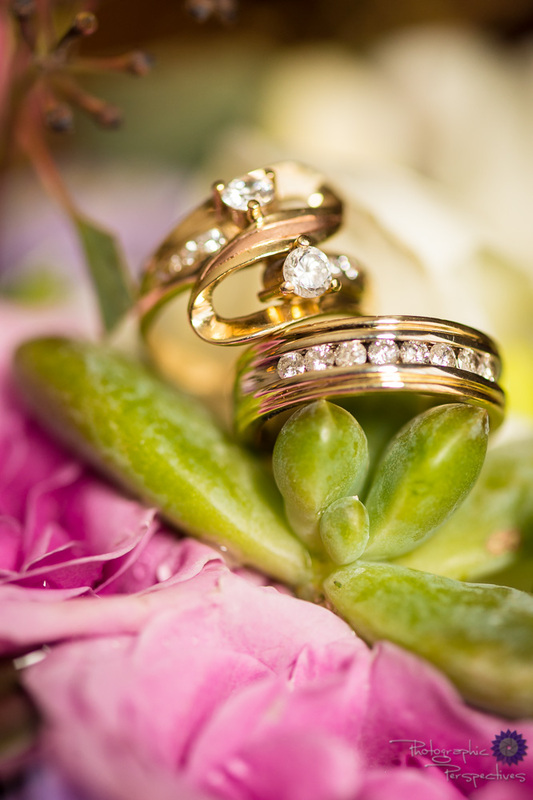 Thank you for taking the time to look at our small sneak peek of Bryannah and Gabriel's Canyon Club wedding. 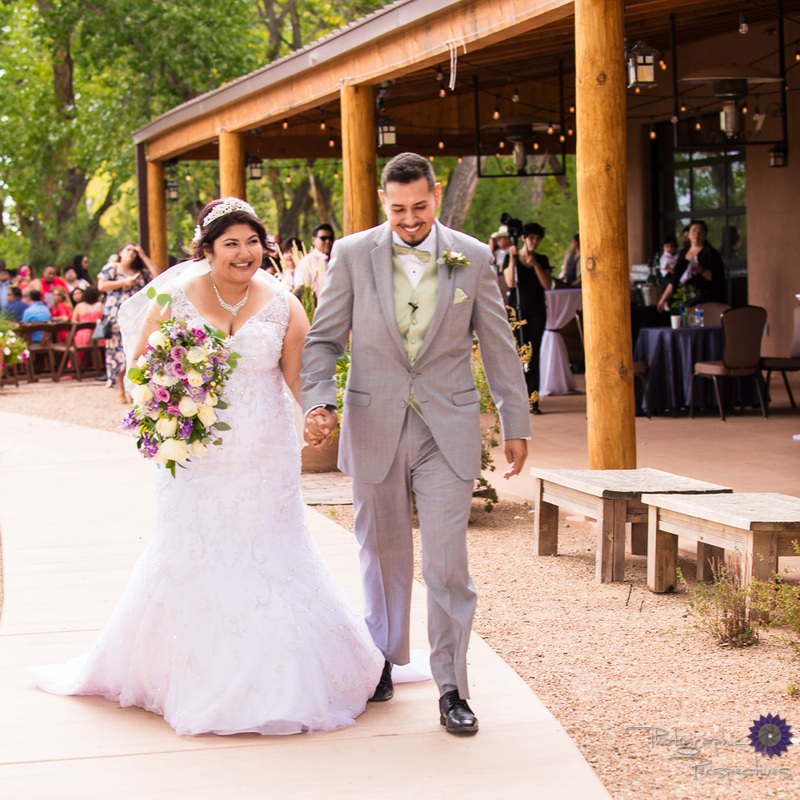 Stay tuned for their full blog next week! 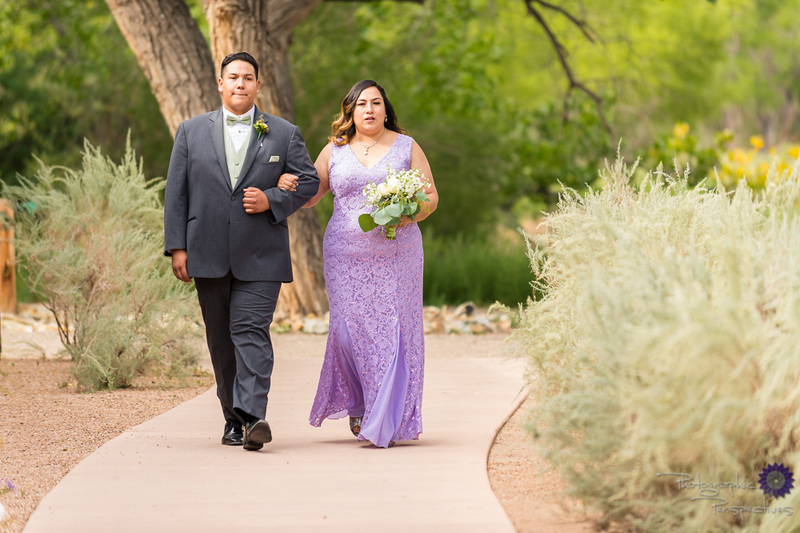 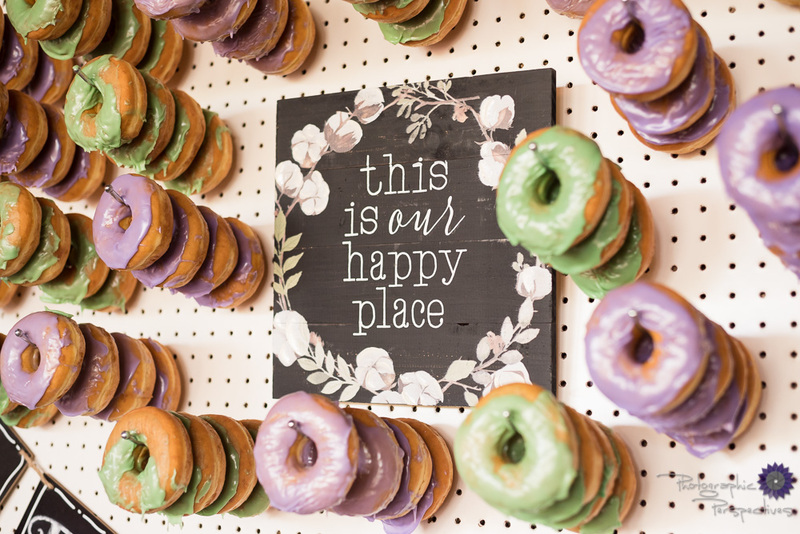 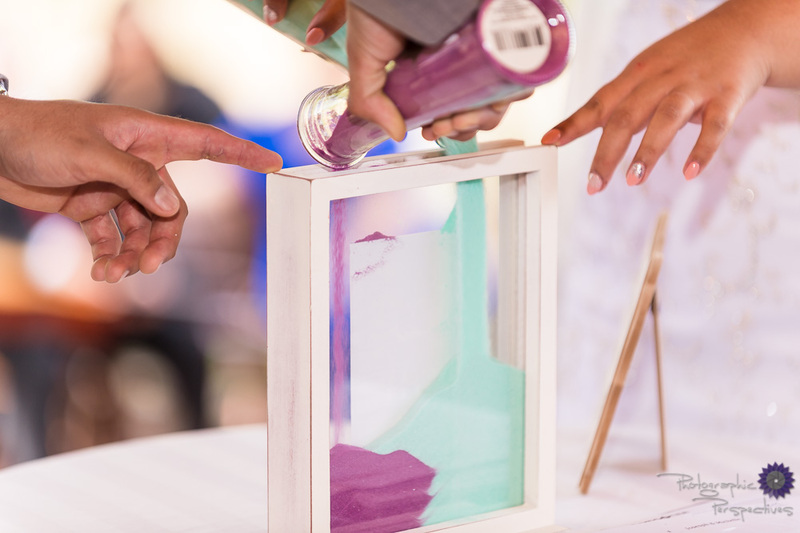 If you loved their wedding sneak peek you're sure to love their engagement. 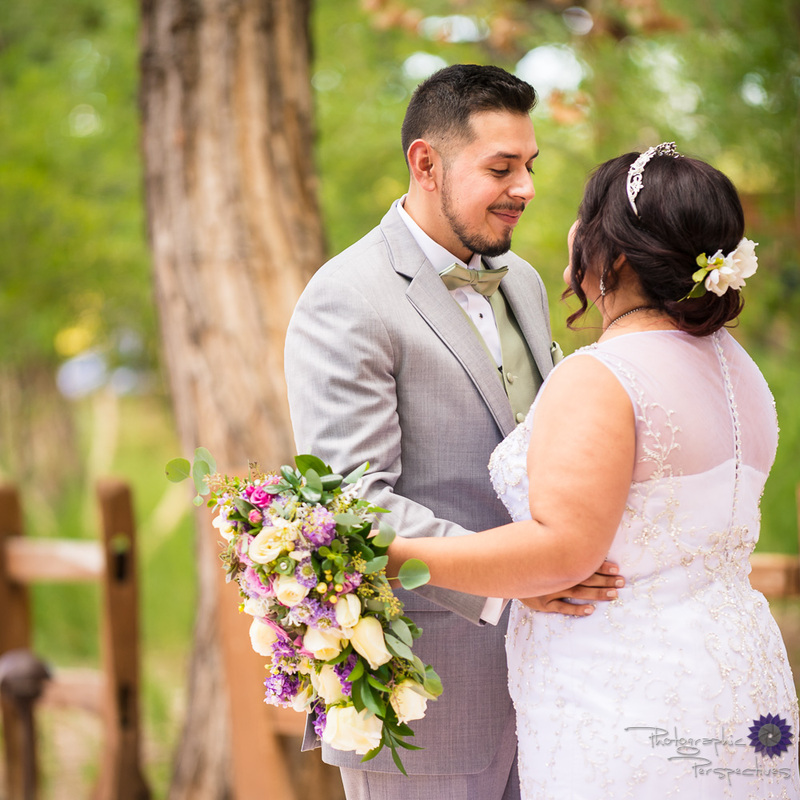 We had an amazing time with Bryannah and Gabriel at the Sandia Peak for a scenic view of the city lights.